The Catalogue Supplement XIII - 2019 is now available. Best way to get a sample is to buy it from Enzo Cafaro Stampsonline through his website www.stampsonline.it . 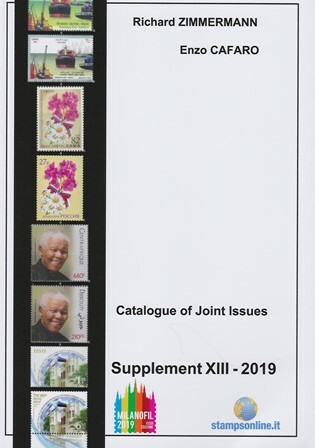 This 72 pages catalogue contains 5 pages dedicated to older joint stamps released prior to 2018 and discovered recently, 34 pages with an updated description of all joint issues released during the year 2018 and a first list of stamps to be released in 2019. 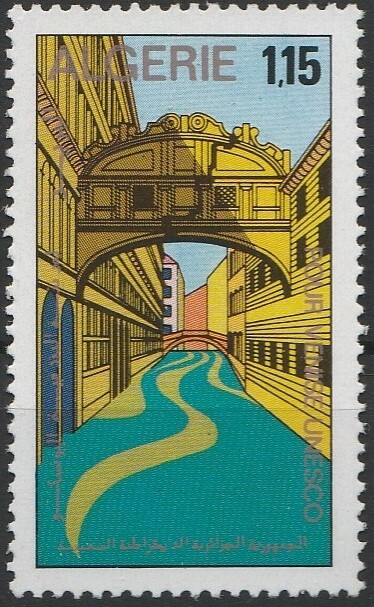 Enzo has added 21 pages describing all PostEurop stamps from 2018 (topic bridges). 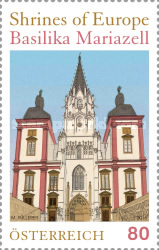 This year the PostEurop stamps cannot be considered as joint, but as we have discovered that several joint stamp collectors are also collecting these PostEurop stamps, it made sense to have them added in this supplement as a separate chapter. 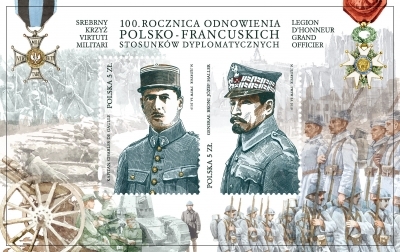 Grzegorz Omelanczuk (Poland) provided the picture of the Polish souvenir sheet from the France Poland joint issue released on April 2, 2019. 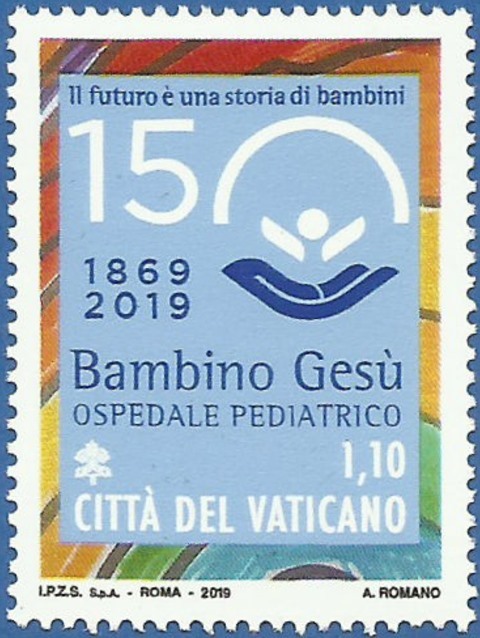 On March 19, 2019 Italy and Vatican issued their stamp to celebrate the 150th anniversary of the foundation of the pediatric hospital "Bambino Gesu". 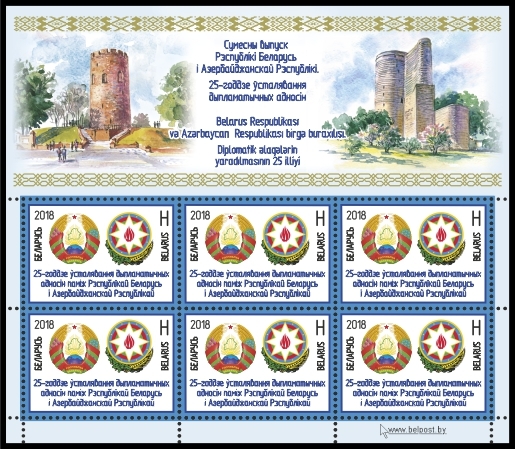 From Don Birschel, USA, the information about the March 23, 2019 Armenia and Portugal joint issue: each country released two stamps. The Portuguese stamps were produced in two panes while the Armenian stamps were issued se-tenant in miniature sheets of 5 pairs. The stamps are dedicated to the 150th anniversary of the birth of Calouste Sarkis Gulbenkian, businessman and philanthropist from Armenian origin, British nationality who spent the end of his life in Portugal. His art collection is displayed at the Calouste Gulbenkian Foundation Museum in Lisbon, Portugal. 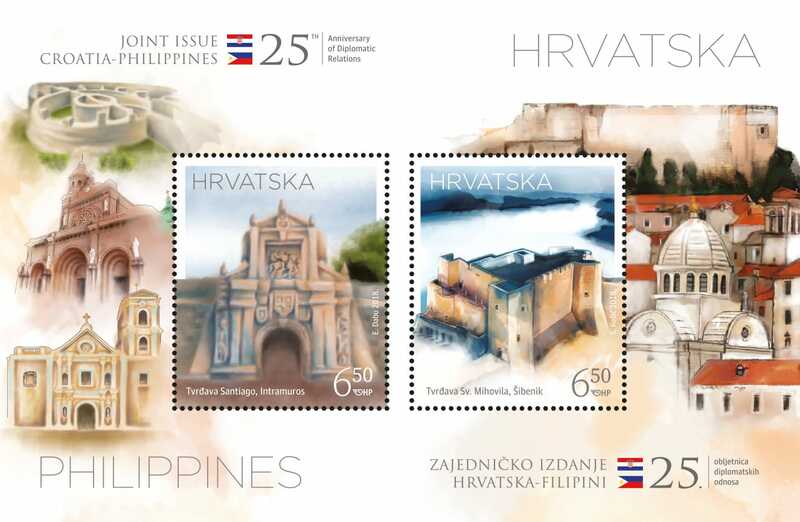 Slovakia and Slovenia issued joint stamps as planned on March 22, 2019. 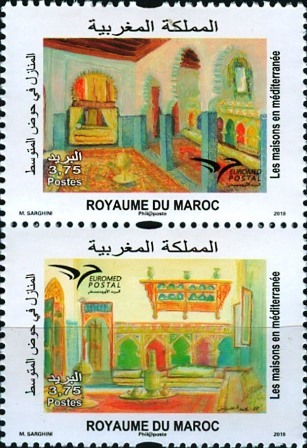 Stamps were released in miniature sheets with 4 pairs each. 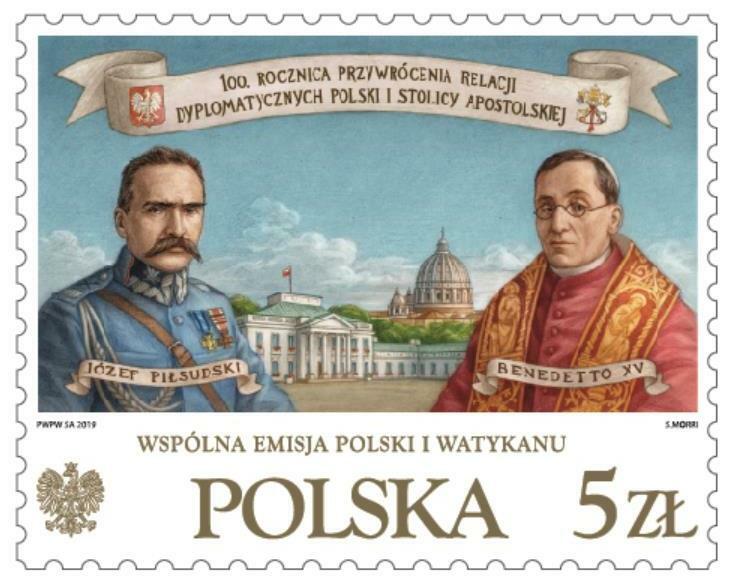 On March 29, 2019, Poland and the Vatican State celebrated the 100th anniversary of the restoration of diplomatic relations between both countries with an identical stamp featuring Marshall Józef Piłsudski and Pope Benedikt XV. 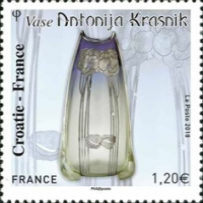 Stamps were issued in miniature sheets of 12. (reported by Grzegorz Omelanczuk, Poland). 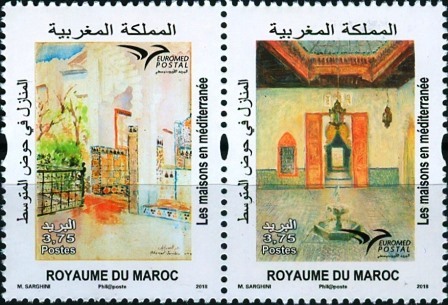 France will issue two joint stamps in the course of the month of April, the first one on April 2, 2019 with Poland and the second one on April 23, 2019 with Morocco. 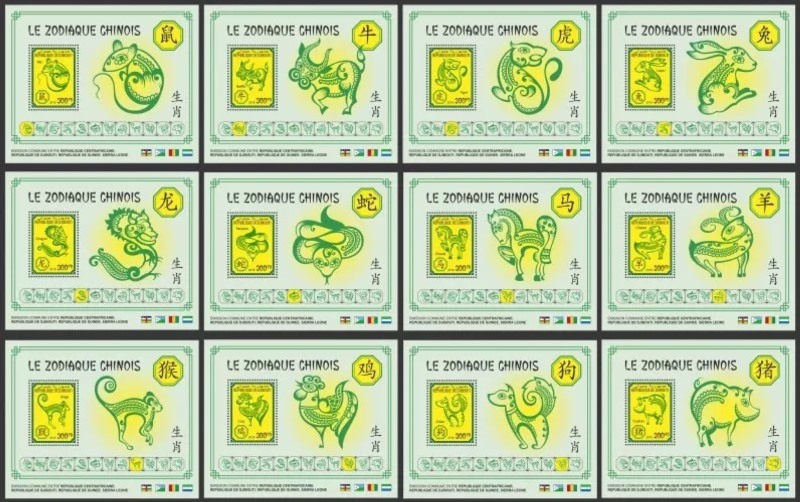 The first designs of the French souvenir sheets have been released (provided by Grzegorz Omelanczuk, Poland and Enzo Cafaro, Italy). It seems that both partner countries will issue identical souvenir sheets. 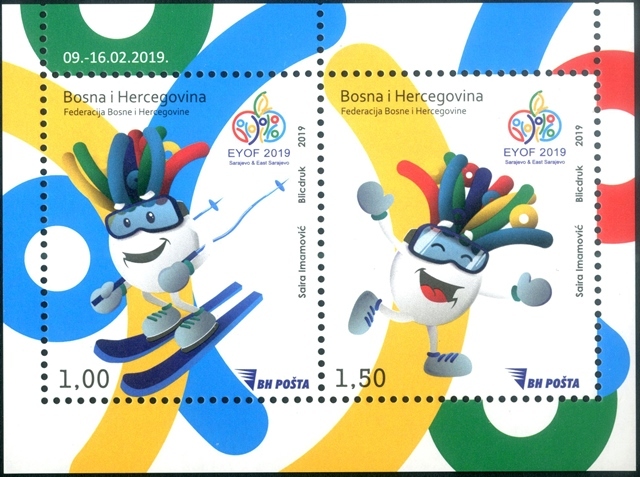 Don Birschel (USA) found these two stamps issued by Bosnia Herzegovina and Bosnia Herzegovina Sarajevo at the occasion of the European Youth Olympic Festival (EYOF) 2019 to be held in Baku, Azerbaijan, between July 20 and 27, 2019. 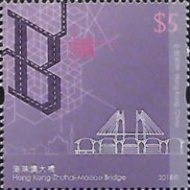 Both stamps have been issued in February 2019, the BH stamp on February 7, 2019. 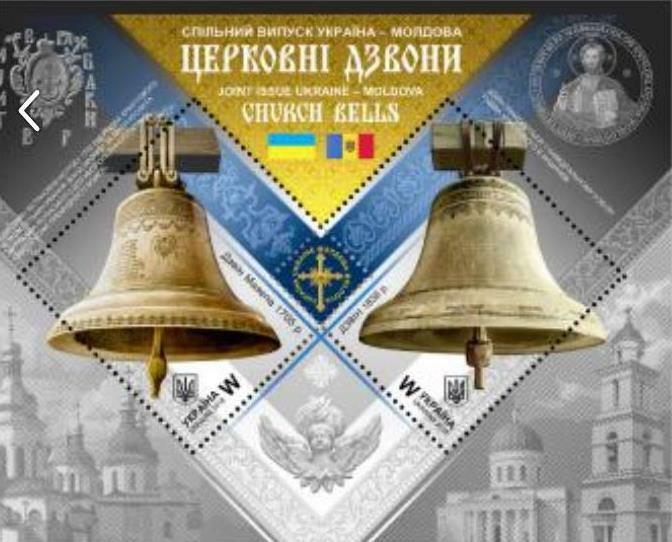 At this stage we are unable to say if this is a joint issue as there is no official claim from the postal authorities and the illustrations are only taken from the symbols of the event. 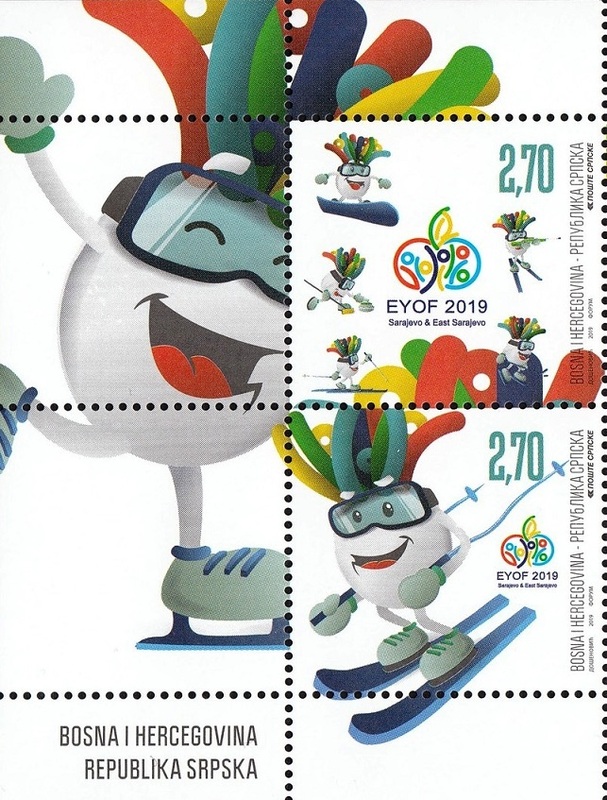 These stamps refer to the winter game part which apparently took place between February 9 and 16, 2019. Any additional information will be appreciated. March 20, 2019: Jaap Sarelese, The Netherlands, inquired more information with both postal administration and got the confirmation that these stamps are not part of a joint issue. Thanks Jaap. Finally information about the the Iranian stamps from the October 23, 2018 Iran - South Korea issue appeared. Iranian first day covers and maximum cards became available very recently under Delcampe, confirming this issue as a twin issue [T1]. 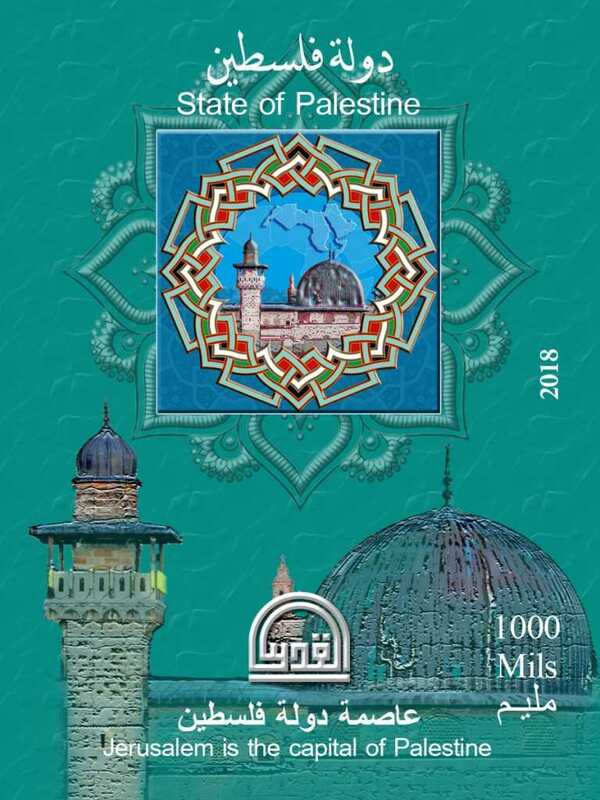 Algeria issued on November 15, 2018 a souvenir sheet (110x90 mm) dedicated to the 30th anniversary of the proclamation of the State of Palestine in Alger, but we have no news from Palestine similar stamps. The general sale date was November 18, 2018. 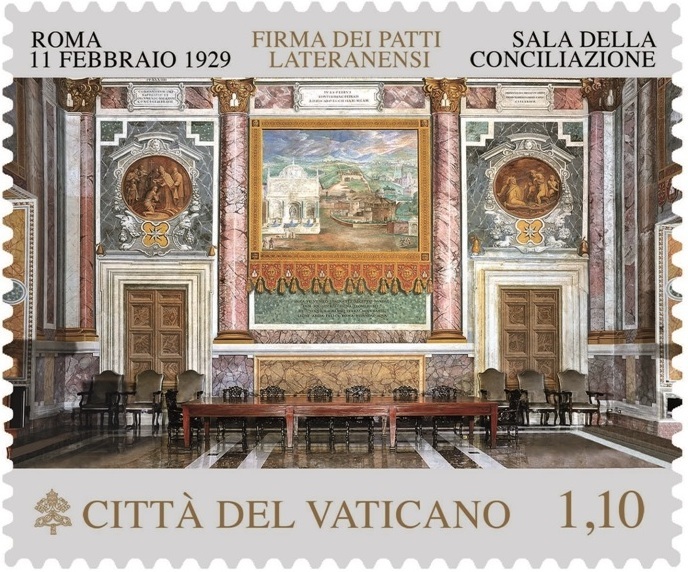 Don Birschel (USA) provided the images of the Italy - Vatican stamps released on February 11, 2019. - The siamese souvenir sheet including Central Africa, Djibouti, Niger, Sierra Leone and Togo was also produced with a red background instead of grey and different denominations, as perforated and non-perforated souvenir sheets. - These stamps are also available as perforated and imperforate stamps in miniature sheets of 6 stamps [2x3] as well as souvenir sheets with one stamp. Date of issues of the latest issued stamps are also known: Central Africa, December 20, 2018; Djibouti, December 13, 2018; and Sierra Leone, December 28, 2018. A mixed first day cover with five stamps from these same five countries involved in the siamese souvenir sheet became also available. An exhaustive list of all items available in this series will be available as soon as all information will be complete. It seems that the list of 13 countries involved is now complete. 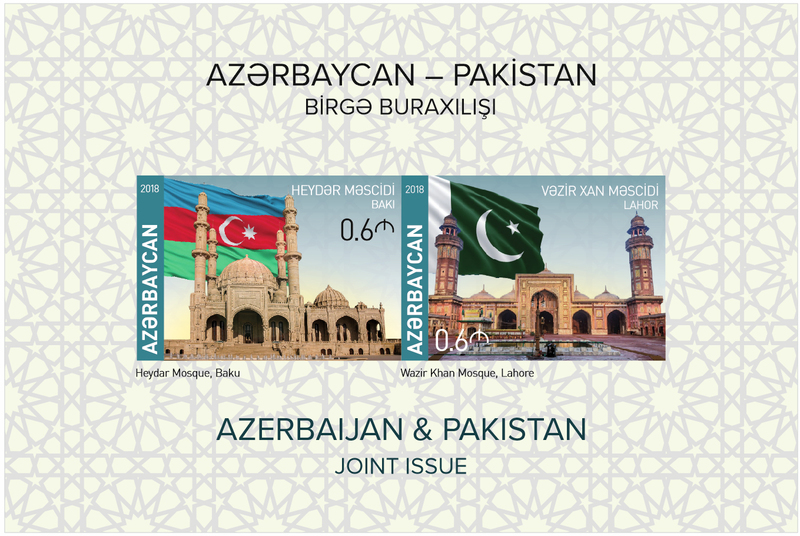 Enzo Cafaro (Italy) found the image of the Azerbaijan souvenir sheet from the June 9, 2018 Azerbaijan - Pakistan joint issue. Don Birschel (USA) found a FDC dated December 28, 2018. This issue becomes then a Concerted Joint Issue [C1]. 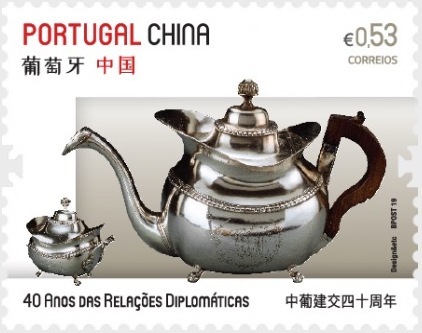 On February 8, 2019, the 40th anniversary of relationship between China PR and Portugal was also celebrated with the emission of two stamps showing tea pots (information and images first provided by Enzo Cafaro). 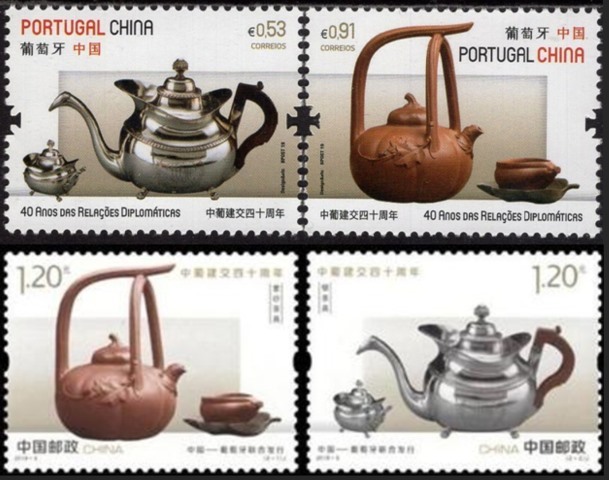 We know that the Chinese stamps are identical, but we have not found yet sufficiently clean pictures. 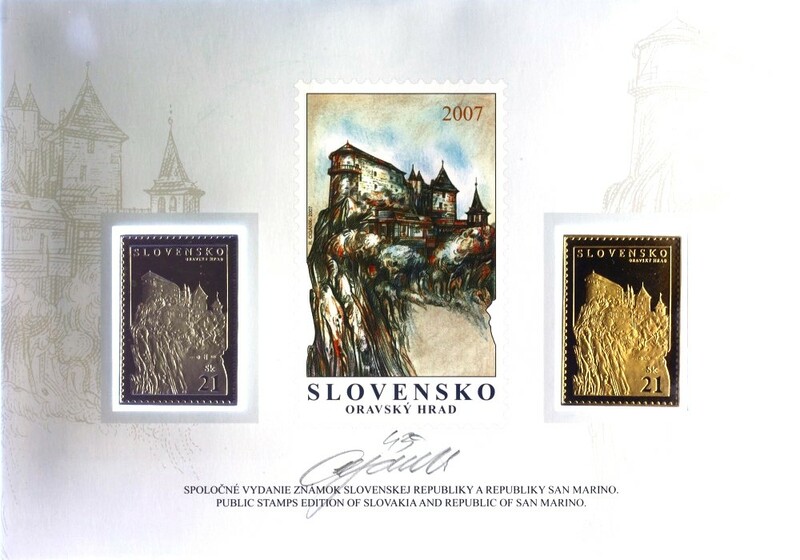 Grzegorz Omelanczuk (Poland) provided also additional links to the designs of the Slovakia stamps from the Slovakia and Slovenia joint issue to be released on March 22, 2019. - The covers of the three folders are slightly different: the texts on the pages 1 (title), 2 and 4 are different. The text on page 1 is in Chinese, English and Portuguese on the folder from China and Macao. On the folder from Hong Kong it is only in Chinese and English. There are also differences in shines. 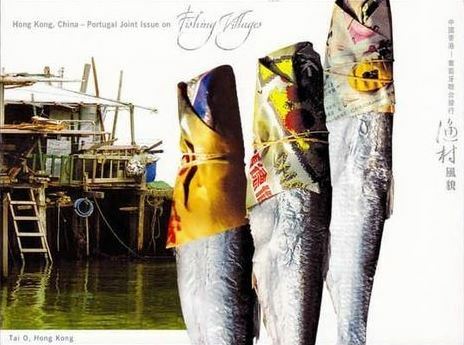 - The text on page 2 is in Chinese, English and Portuguese (China and Macao folders); at first glance the text is identical, but the space between the words is different, therefore the first words of each matching line in the English and the Portuguese text of both folders are different. The folder from Hong Kong has only a text in Chinese and English. - Page 4: on each folder differences in the 3 logos. On the folder from Hong Kong also a small barcode appears. On the Chinese folder also a barcode and a QR code are printed. 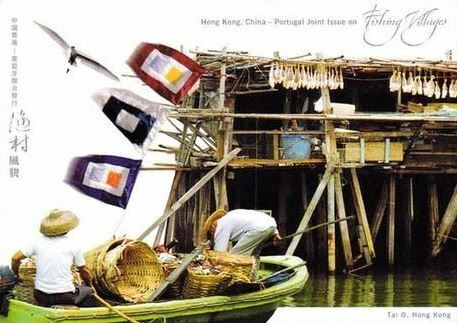 - The souvenir sheets are identical, but on each sheet a number is printed, starting with the letter A, B or C. This is the only difference for souvenir sheets and correspond to the sheet attribution respectively to China RP, Hong Kong and Macau. 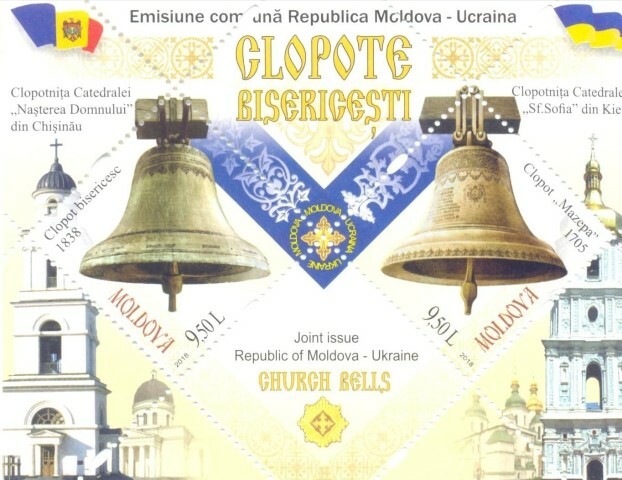 The Moldova Ukraine stamps were issued on December 26, 2018 in the form of souvenir sheets showing two church bells (first images provided by Enzo cafaro, Italy). 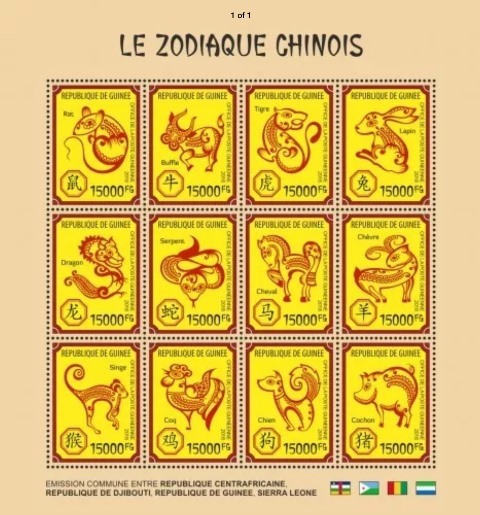 Benjamin Busch (France) discovered a siamese souvenir sheet gathering five countries from the July 18, 2018 Nelson Mandela joint issue and including Central Africa, Djibouti, Niger, Sierra Leone and Togo. This souvenir sheet was produced at only 900 samples and is also available as non perforated item. 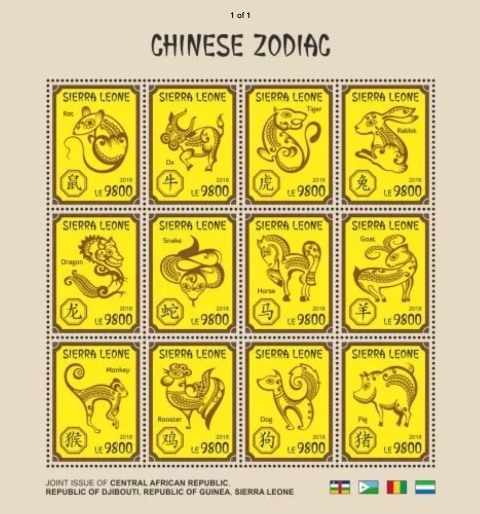 This souvenir sheet adds three new countries to the already identified countries involved in this series namely Central Africa, Djibouti and and Sierra Leone. 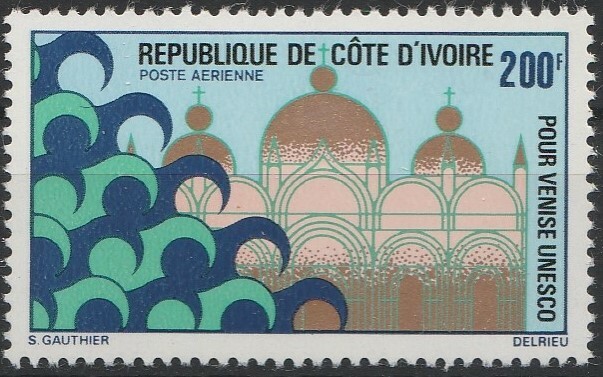 The exact date of issue of this souvenir sheet is not known. Additionally Benjamin found also an identical stamp from Libya which brings the total number of countries having issued similar stamps for this occasion to 13 for the time being: Algeria - Burkina Faso - Central Africa () - Djibouti () - Gambia - Kenya (October 9) - Liberia - Libya - Niger - Sierra Leone () - South Africa - Togo - Tunisia. We are missing the exact dates of issue for the countries followed by empty brackets. 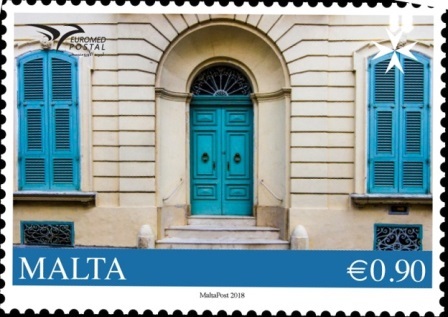 All other countries without brackets had their stamps issued on July 18, 2018. It seems that Equatorial Guinea and Zimbabwe have also participated but stamps have not been seen so far. Originally all African countries were invited to participate to this joint issue and this could bring the number of involved countries up to 50. Any help for completing the information about this series is welcome. 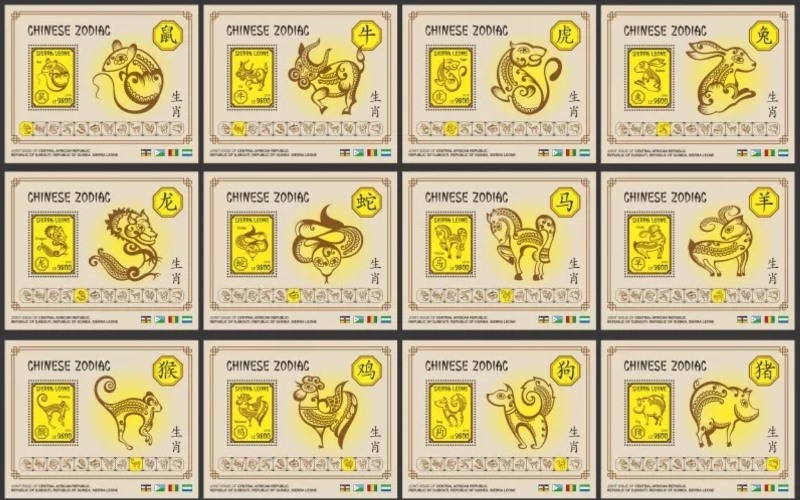 Most of these stamps can be obtained via Benjamin through https://buschcollectibles.com/. News from Niket Bubna (USA): Singapore will possibly issue two joint issues in May 2019, one with Israel and the other with Philippines. Dates and subjects are not fully known yet. There is a possibility of another ASEAN omnibus in August 2019. News for Indian joint issues is not available yet, but some updates speak about a possible joint issue between India and South Korea in July 2019. 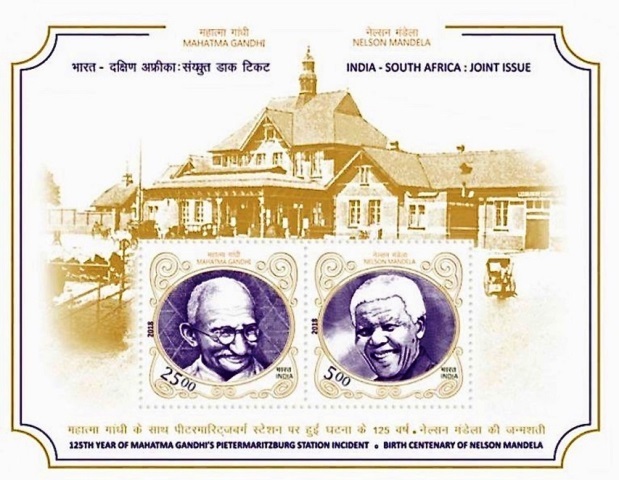 On another note, Niket has seen a couple of stamp sellers with the South African version of the India - South Africa joint issue that was released in June 2018. 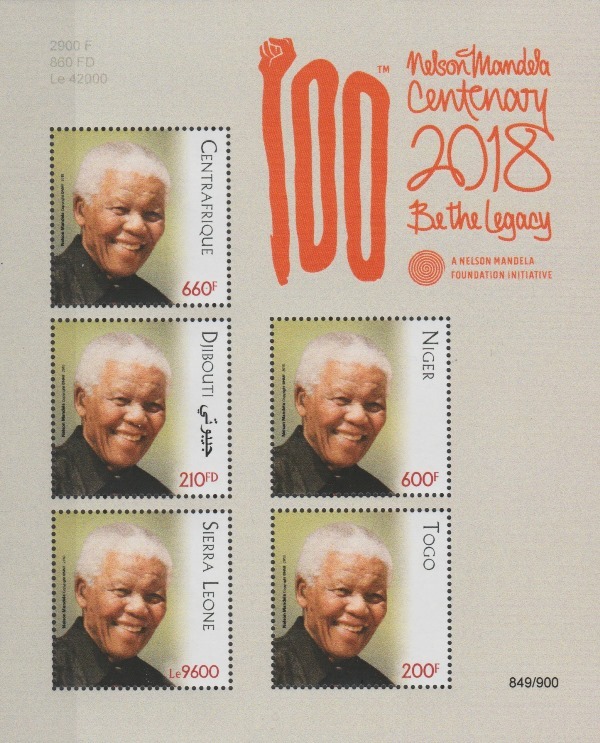 South Africa post office continues to say the stamps are delayed in printing and shipping from India, but these are now available from other vendors. More when the stamps will be really seen. 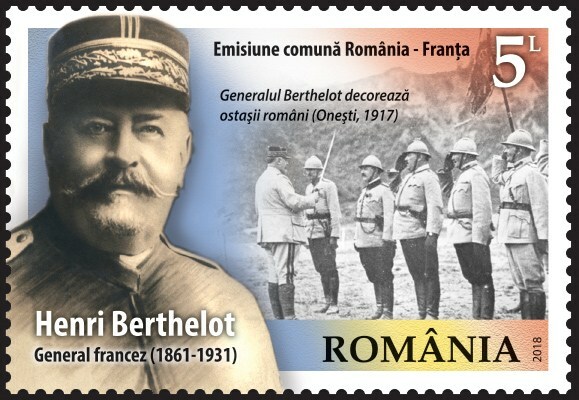 Jaap Sarelse (The Netherlands) provided some additional information about a postal stationery issued by Romania and honoring the French General Henri Mathias Berthelot. 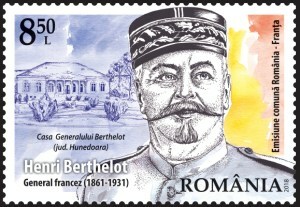 This cover shows among other illustrations the picture of the soldiers in front of the General used as background in one of the joint France-Romania joint issue stamp, and used as well as illustration for the official Romanian FDC. This cover was issued in May 2018 and despite some interesting links and common features, it cannot be considered as part of the joint issue. 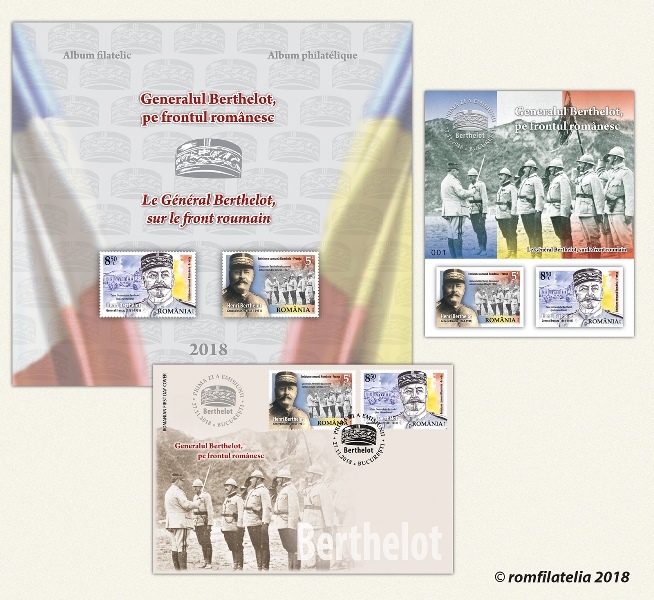 Romania also issued at the date of November 27, 2018, a ‘philatelic album’ with a single FDC and a souvenir sheet bearing two imperforated stamps. Both, single FDC and souvenir sheets, are only available in this album. The quantity printed is low (245), the price is high (about 48,00 euro). We will report these products in the catalogue but will consider them in the category "excessive issue not recommended for collectors" as such expensive and very limited edition items cannot be considered as true philatelic collecting material. 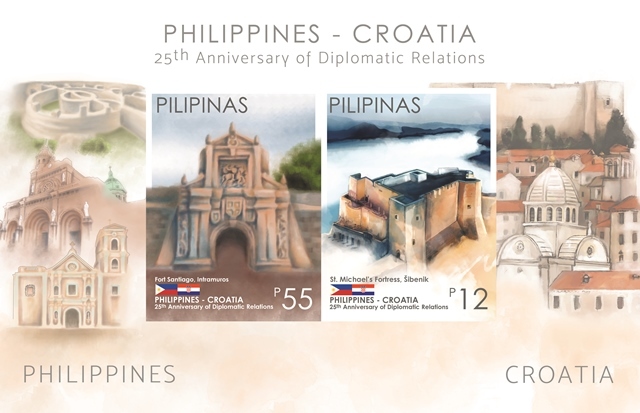 Enzo Cafaro (Italy) provided the illustration of the Philippines souvenir sheet that was issued jointly with Croatia on December 5, 2018. 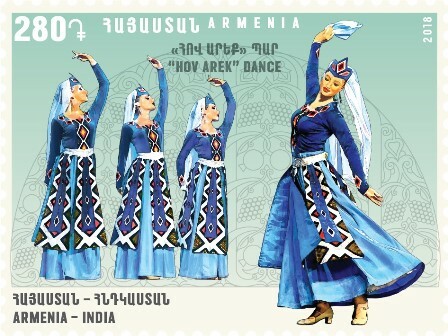 Enzo Cafaro (Italy) provided the images of the Azerbaijan stamps from the November 19, 2018 Azerbaijan and Belarus joint issue. 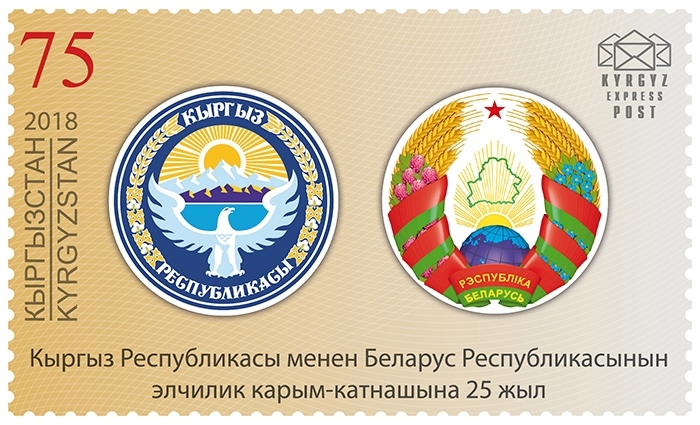 On November 23, 2018, Belarus and Uzbekistan issued their joint stamps. Information and pictures provided by Don Birschel (USA). 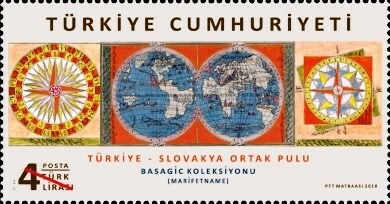 Don Birschel (USA) provided also the turkish stamp image from the Slovakia - Turkey joint issue released on November 27, 2018. 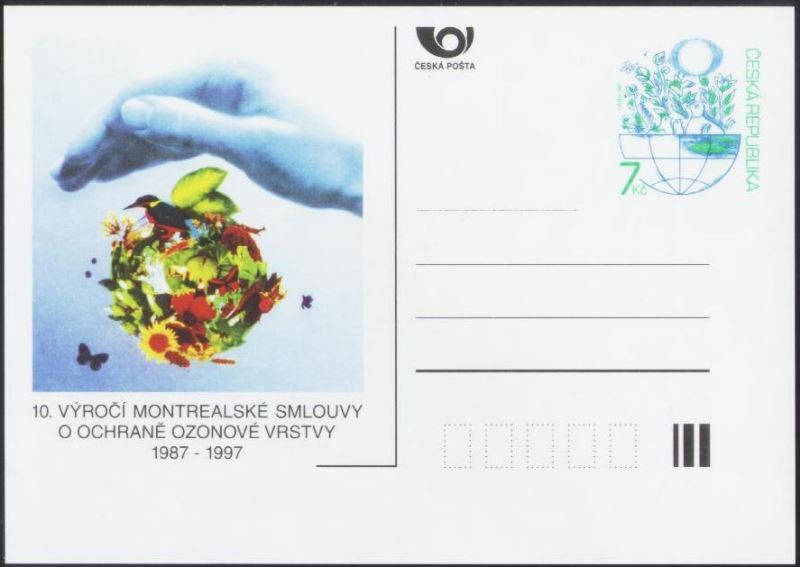 At the occasion of the France - Romania issue, France issued also a folder containing a souvenir sheet bearing both French stamps. Date of issue is November 27, 2018 (complement of information provided by Enzo Cafaro ). Unexpected joint issue to be released by Croatia and the Philippines on December 5, 2018. 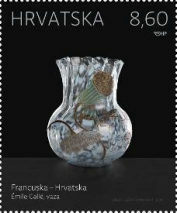 Enzo Cafaro could provide the first design of the Croatian souvenir sheet as well as a copy of the Croatian FDC. 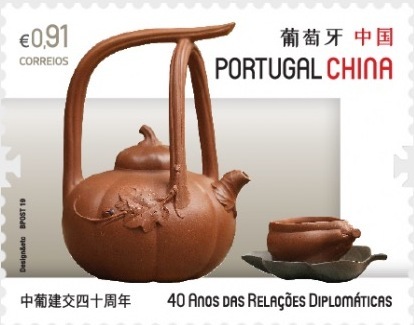 - February 8, 2019 - 40th year China diplomatic relations with Portugal, the design will show tea culture. - October 6, 2019 - 70th year diplomatic relations with Slovakia, the images will show handcrafted-ware from both countries, China handcraft from Tang Dynasty. 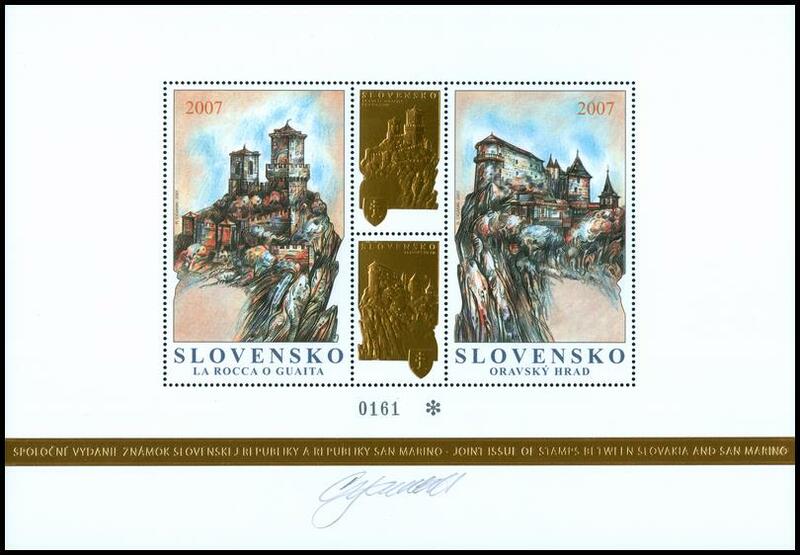 Slovakia is not mentioning this joint issue but the country intends to issue two stamps on tinsmithing. - December 20, 2019 - 20th year return of Macau to China. There is a high probability that this could become the 2019 territorial siamese Chinese issue. Year 2019 is also the 70th year founding of the People Republic of China. If China is to follow precedence from 10 years ago, we could expect parallel or even Siamese issues with Hong Kong and Macau. 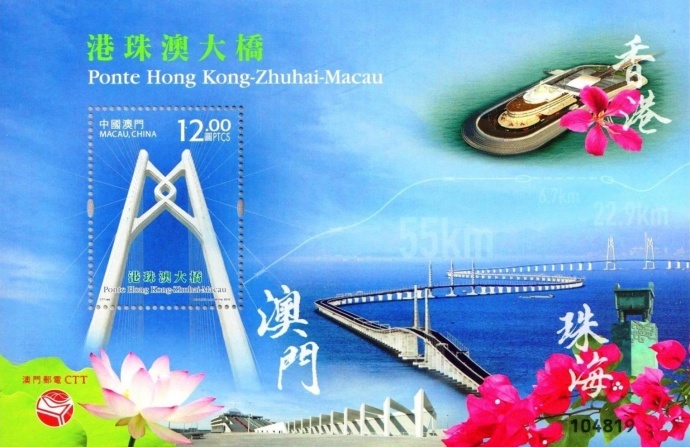 The China - Hong-Kong - Macau Zhuhai bridge Siamese sheet was announced but the documents took time to reach the different sales places. This may be caused by the delay of the bridge’s opening (finally inaugurated on October 23, 2018) and sudden announcement of its issue date (October 30, 2018). 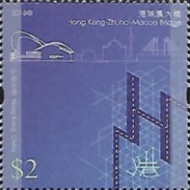 The full series of stamps include one siamese souvenir sheet bearing 3 stamps from each postal entity, differing by the letter starting the numbering system (A for China, B for Hong-Kong and C for Macau), three stamps in panes for China (identical stamps as in the siamese sheet), four different stamps and a souvenir sheet for Hong Kong, three se-tenant stamps (same is in the siamese sheet) and a souvenir sheet for Macau (Complement of information Richard Li). 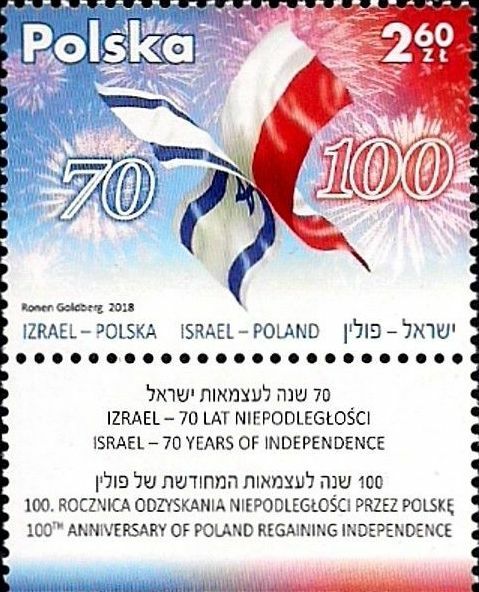 The 2018 Poland-Israel joint issue released as planned on November 5, 2018 (information from Grzegorz Omelanczuk, Poland). 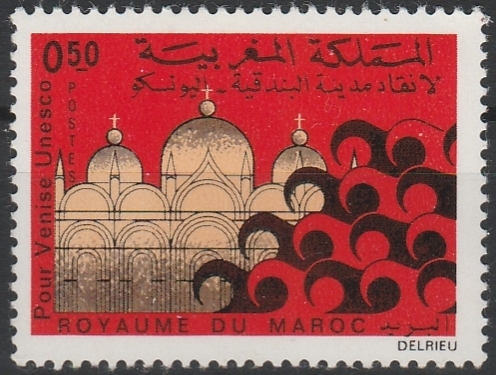 These stamps were issued in miniature sheets of 10 stamps with five tabs. 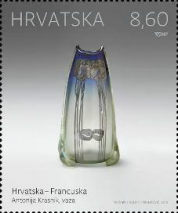 The joint issue between Croatia and France was issued on November 8, 2018. The joint issue between Azerbaijan and Belarus initially expected in April 2018 at the occasion of the 25th anniversary of relationship was finally released on November 19, 2018. 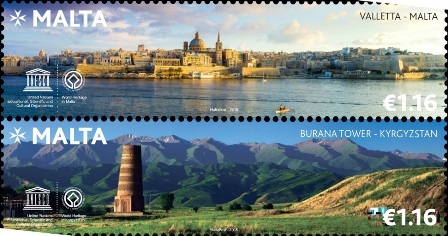 Azerbaijan stamps have not been seen so far. 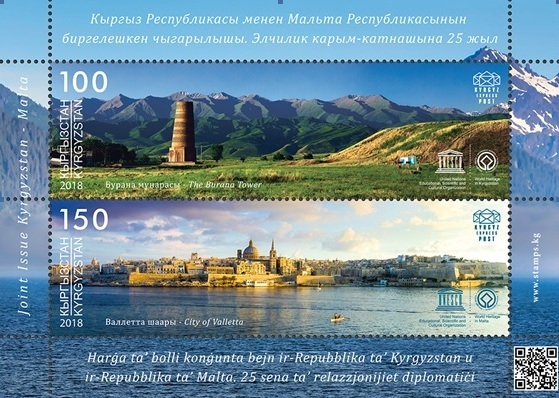 The Kyrgyzstan - Malta joint stamps were issued on November 23, 2018 (information provided by Don Birschel, USA and Gabriele Gatti, Italy). 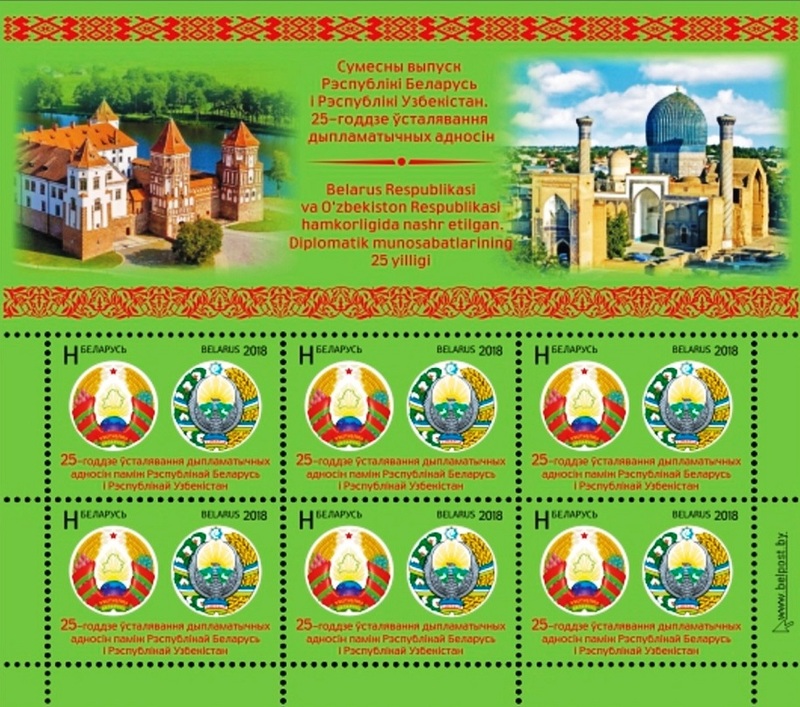 The Kyrgyz stamps were issued in two miniature sheets of 5 stamps each and in a souvenir sheet with both stamps se-tenant. 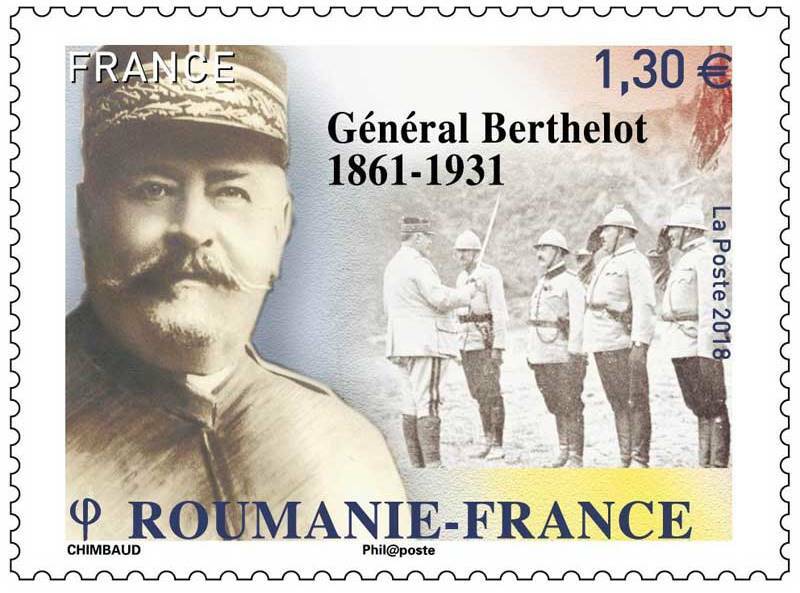 On November 27, 2018, France and Romania issued stamps honoring General Henri Mathias Berthelot (1861-1931). 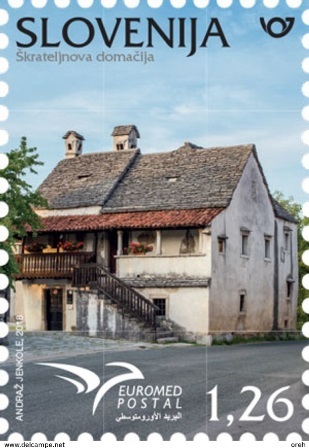 And the design of the Slovakian stamp from the Slovakia - Turkey joint issue to be released on the same day of November 27, 2018, is also available on the Slovakian Post web site. It depicts a map from an Ottoman Manuscript from the Bašagić Collection. Turkish stamps have not been seen so far. 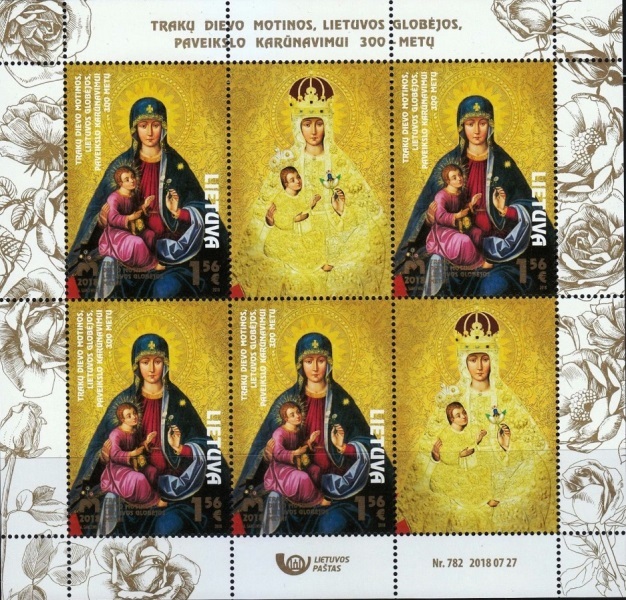 The Ukrainian stamps designs from the Ukraine - Moldova joint issue to be released in December 2018 have been provided by the Ukrainian Post. The exact issue date is still not known. 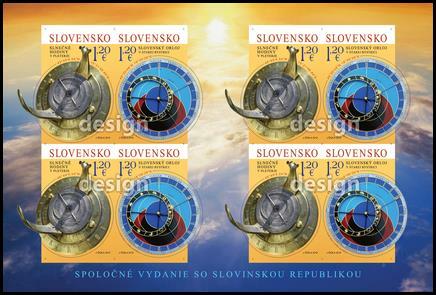 The topic will display bells (information found by Grzegorz Omelanczuk, Poland). 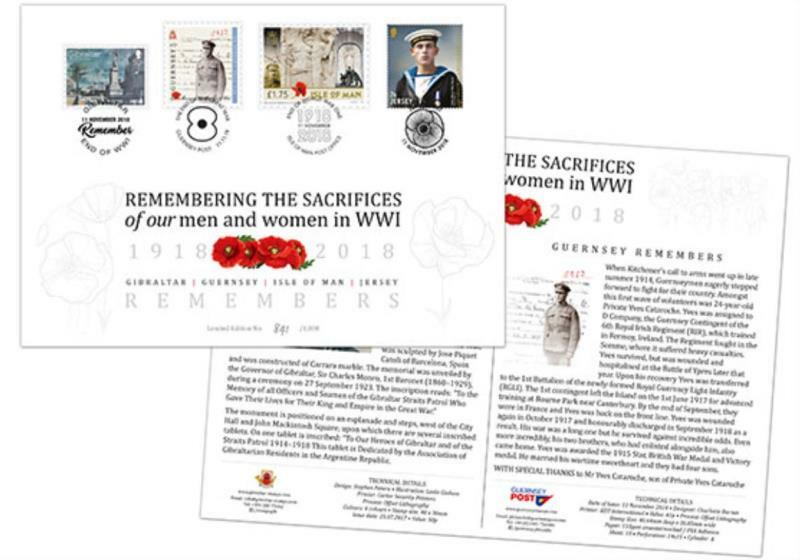 Gibraltar, Guernsey, Isle of Man and Jersey produced a common document with a stamp from each country related to WWI and canceled from November 11, 2018 (Information discovered by Grzegorz Omelanczuk, Poland). 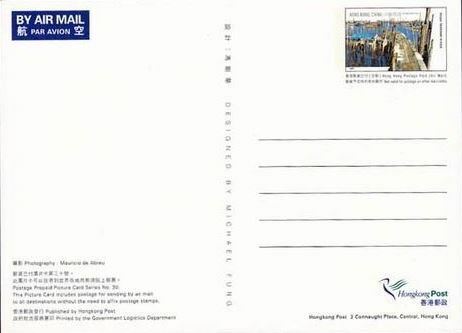 As these stamps are all different, even if related to the same topic, and issued at different dates , this cover and associated stamps cannot be considered as joint (November 11 cancellations are not first day cancellations). This limited remembrance edition cover is sold at £ 17.50 for those who are still interested. 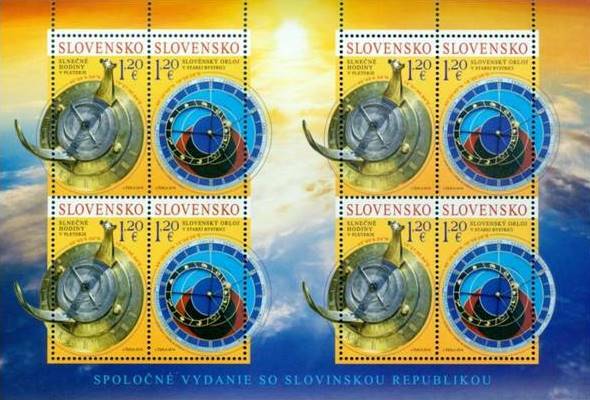 Czech Republic and Slovakia issued both stamps at occasion of the 100th anniversary of the creation of Czechoslovakia respectively on October 25 and 26, 2018, but this was not in a concerted manner, and therefore these stamps cannot be considered as joint. While exploring the page of the Slovak Post related to joint issues, items that have never been reported so far were found. 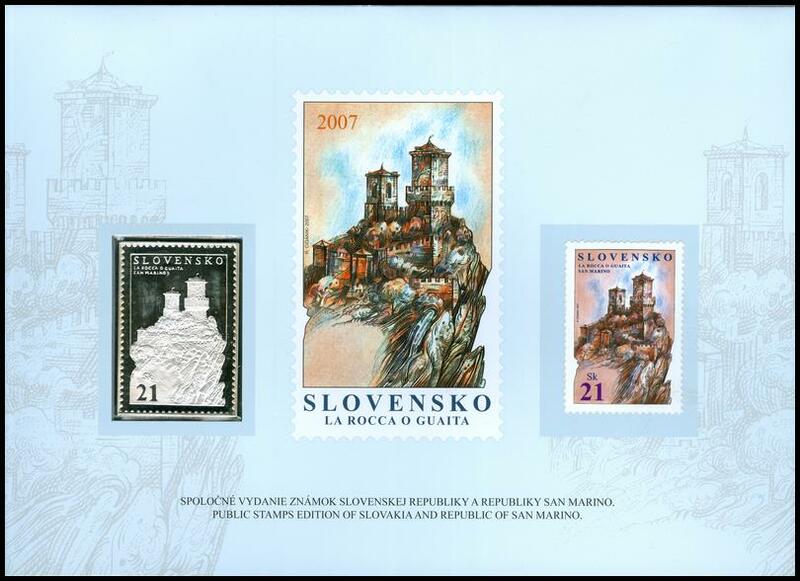 In particular there are special gold and silver stamps and miniature sheets that are depicted on this site and related to the August 24, 2007 joint issue between Slovakia and San Marino (https://www.pofis.sk/en/catalog/products/postage-stamp-2007-joint-issue-with-san-marino-orava-castle). 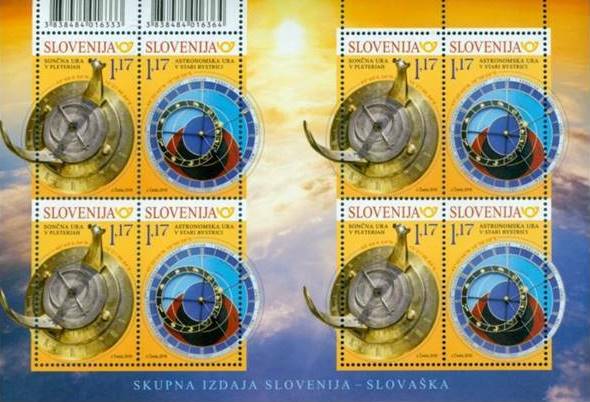 Three items are known so far: A, a miniature sheet (cinderella) with reproduction of the two stamps in large scale and two gold labels representing the stamps (issued 250); B, a board containing the mint Slovakian stamps and the same stamps in silver (issued 100 samples); C, the same cardboard bearing the Slovalian stamp in gold and silver (issuing number unknown). These items are to be considered as cinderellas and/or special items for coins collectors, but worth mentioning here. 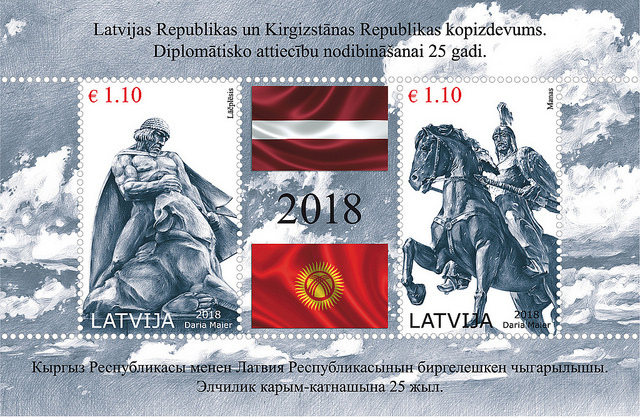 Kyrgyzstan and Latvia issued joint stamps on October 5, 2018 instead of initially scheduled September 14, 2018 (information first provided by Gabriele Gatti, Italy). 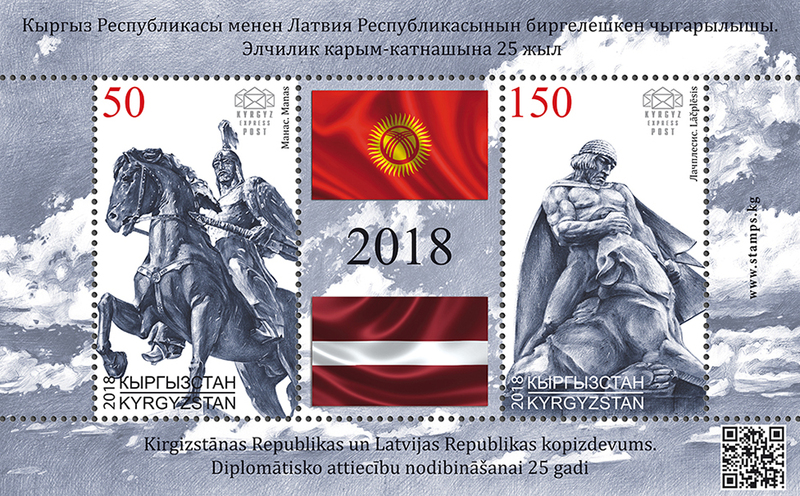 This issue celebrates 25 years of relationship between both countries and represents epic heroes from both countries, in form of a monument to Manas the Great, in Bishkek (Kyrgyzstan) and a monument to Lachplesis in Riga (Latvia). 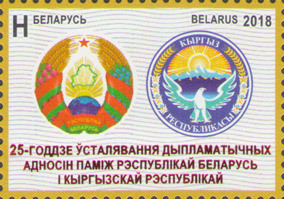 The Kyrgyzstan and Belarus stamps were issued on October 18, 2018. 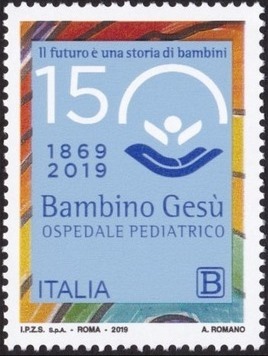 This series was initially supposed to be issued on November 15, 2018 (Gabriele Gatti, Italy). Iran and South Korea issued joint stamps on October 23, 2018 (Information provided by Mansoor Moazzeni, Iran). 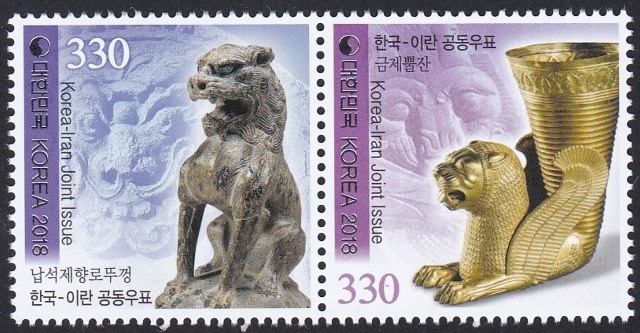 The postage stamps show Shilla, a Korean stone lion which dates back to the 8th-9th centuries. The second styamp illustration shows the Achaemenid Persian Lion Rhyton. 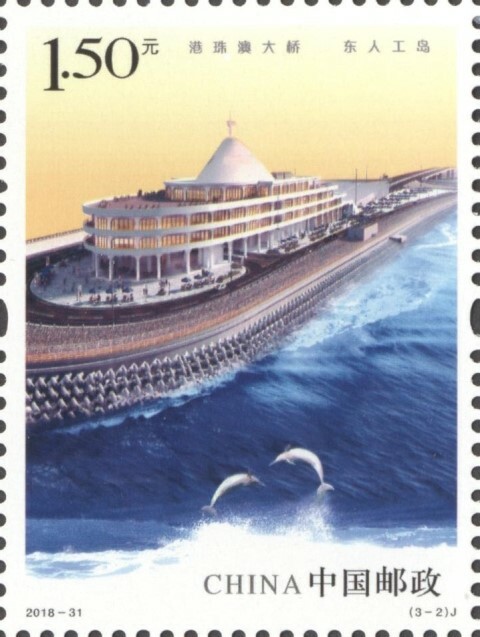 Iran stamps have not been seen so far, but are supposed to be released as a souvenir sheet. 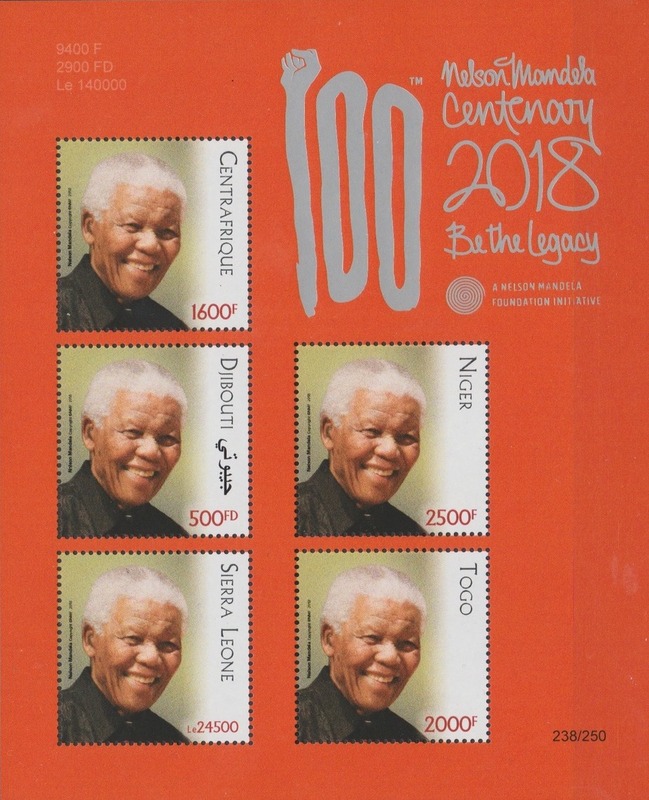 Kenya and South Africa are to be added to the countries which issued souvenir sheets in honour of Nelson Mandela released on July 18, 2018 (Discovery Don Birschel, USA). Date of issue of these additionnal stamps seems to be October 9, 2018 (to be confirmed). - There is no information available yet from the initially planned joint issue involving Russia and Greece. 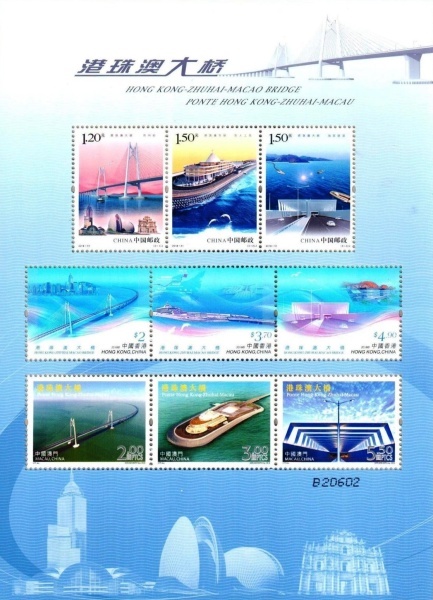 From Wayne Chen (USA): the long overdue stamps from the opening of the Hong-Kong - Zhuhai - Macau bridge (delayed construction) has finally resurfaced, following the inauguration of the bridge on October 23, 2018. these stamps are now planned to be issued by China PR, Hong Kong and Macau on October 30, 2018. 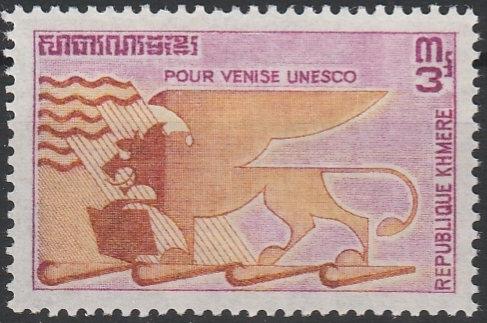 The Siamese sheet remains the same design as previously announced and shown. 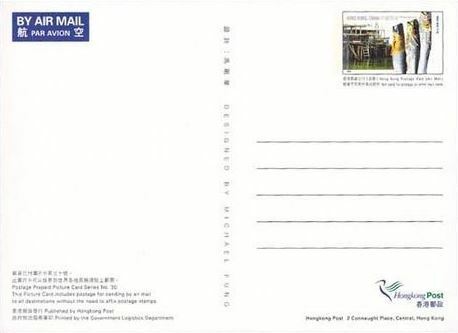 The image below shows cover of the folder to be issued by Hong Kong Post. 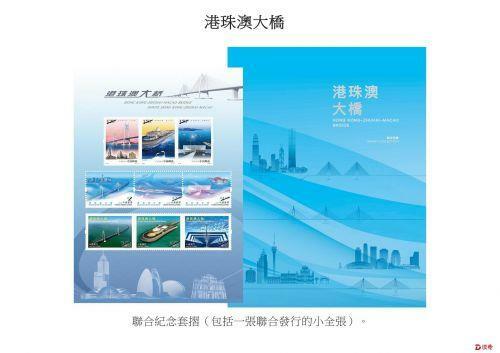 China post will have the same cover design but simplified Chinese text (Hong Kong and Macau uses traditional Chinese). 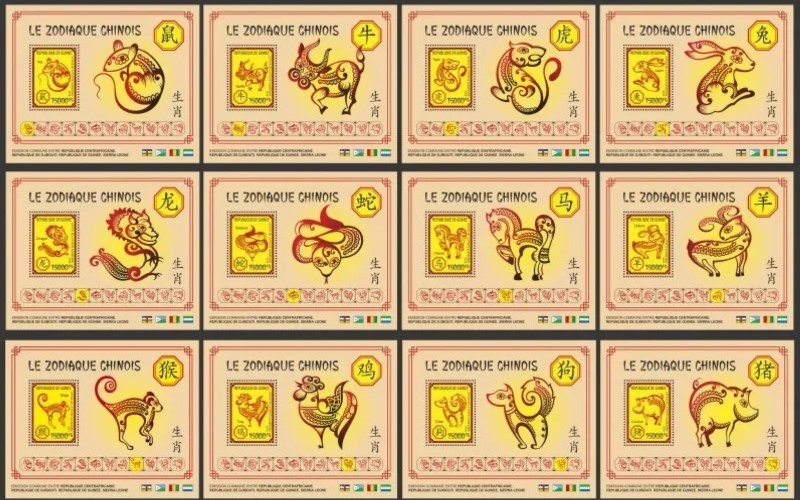 - Guinea and Djibouti issued the miniature sheet printed on thin wood plates also at 500 samples. 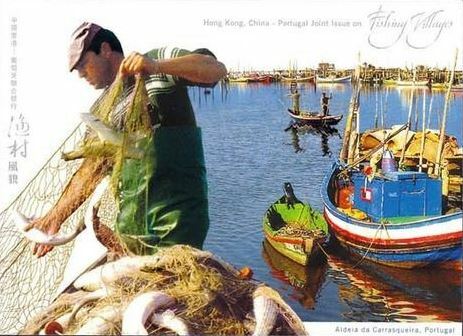 Larry Dodson (USA) discovered additional material related to the October 18, 2005 issue involving Hong Kong and Portugal and related to old fishing villages. 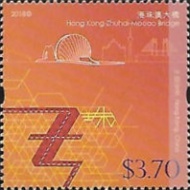 Hong Kong issued also 4 special post cards illustrated with the picture of the stamp and with the imprint of the stamp itself on the other side. This is a series of postal stationery that has to be added to this issue [T20051018]. Thanks Larry for this interesting discovery. The Armenia - Belarus stamps supposed to be issued on September 21, 2018 are not joint. 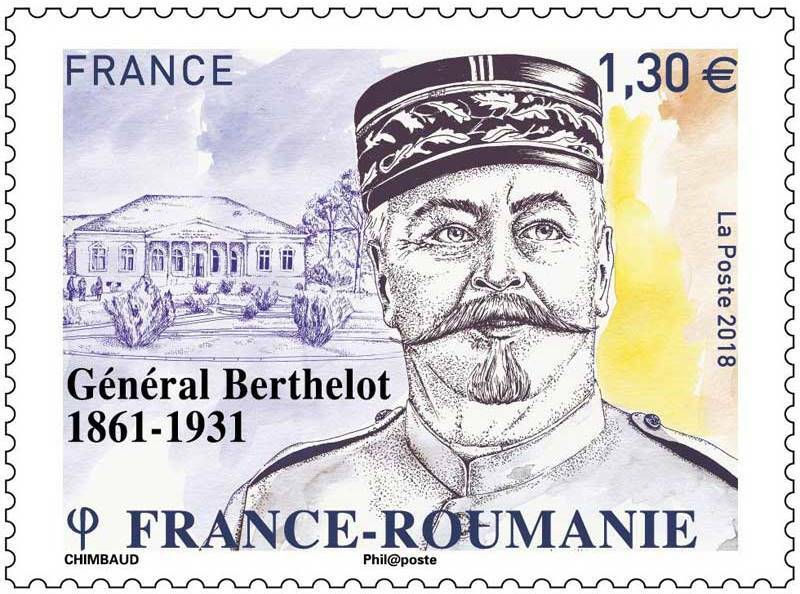 Our friend Benjamin Busch (France), also stamp seller, opened his new web site under https://buschcollectibles.com/ in which he started also a page on joint issues. This page is supposed to be upgraded strongly in the near future. Don Birschel (USA) found the following local apparently joint issue between Barcelona, Spain and Iloilo, the Philippines. 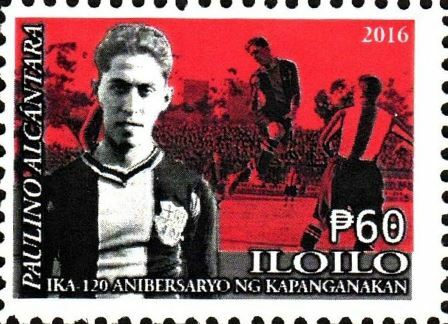 The stamps honor a Spanish soccer player, Paulino Alcantara Riestra (1896-1964), who was born in Concepcion, Iloilo in the Philippines and played with the FC Barcelona. At the end of his carrier as soccer player he became coach and managed the Spanish team for three major games. 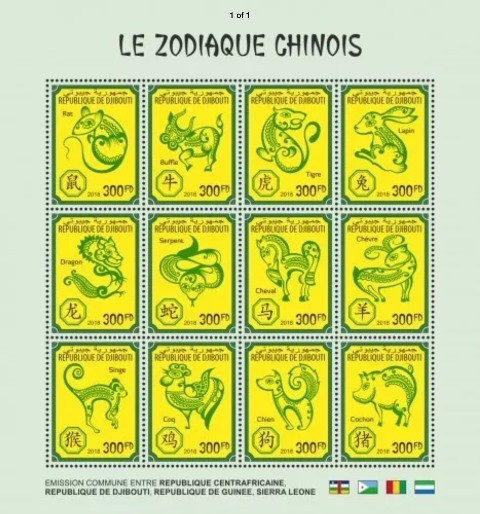 It appears that these stamps are just cinderellas issued in 2016 and cannot be considered as a joint issue. Nevertheless this is an interesting discovery. Niket Bubna (USA) was able to provide the image of the Israel stamp to be issued jointly with USA on October 16, 2018, showing that designs will be identical. 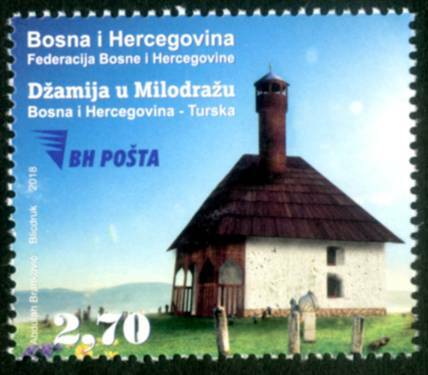 The official date of Serbian issue with India was firmly set to September 15, 2018, confirmed by the FDC and the stamps have been issued (Information provided by Ivan Tangl, Serbia). Correction: from Lars Kersten: the South Ossetia - Syria issue described earlier (see below) is a fake issue not produced by Syria, that can be recognized in particular through the wrong spelling of the name of Syria. This issue is therefore definitely to be excluded from the catalogue. Niket Bubna (USA) could first announce that the Armenia-India joint issue was finally issued on August 29, 2018, following several postponements and delays. 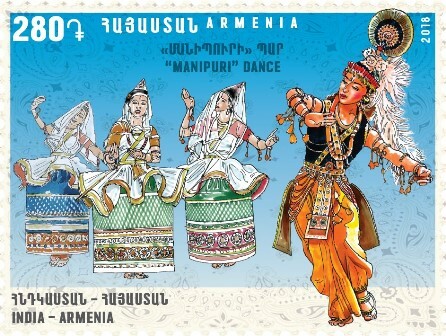 The stamps show Hov Arek dance and Manipuri (Jagoi) dance. 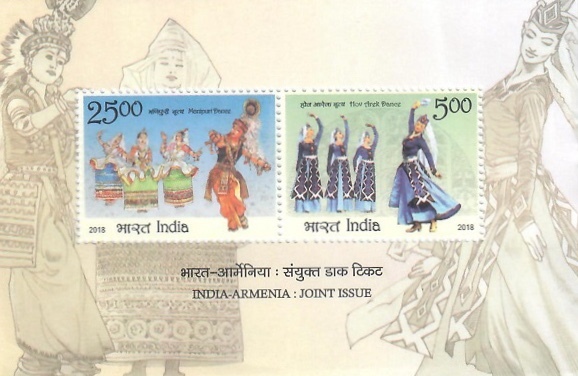 India Post also issued a souvenir sheet along with the two individuals stamps. Ivan Tangl (Serbia) provided the first illustration of the Serbian stamps issued jointly with India. 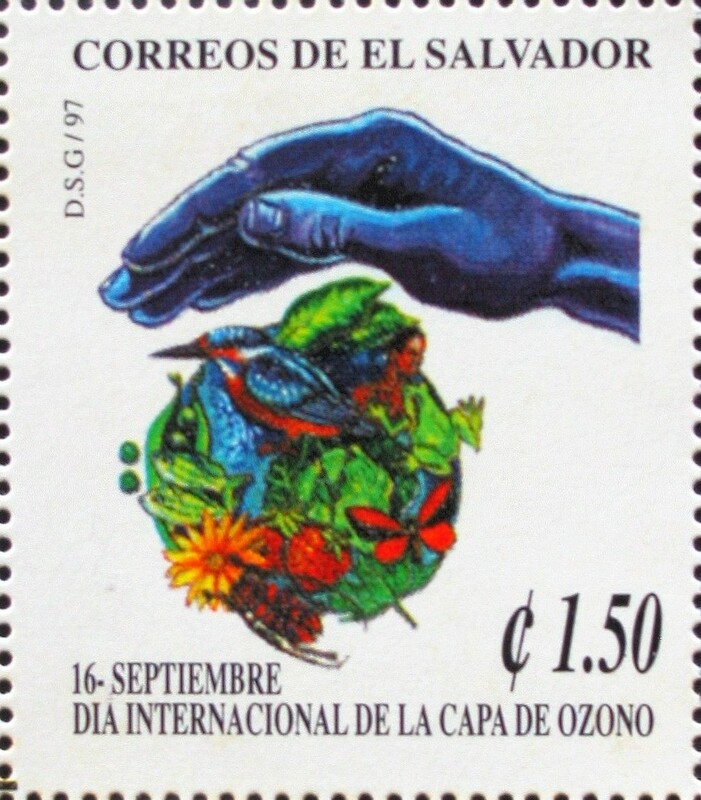 These stamps were available on September 3, 2018, but the official date of issue is planned for September 15, 2018. 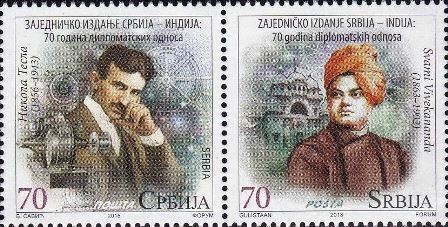 The two stamps show Swami Vivekananda (a spiritual leader from the 19th-20th century) and Nikola Tesla (physicist). The Indian stamps are still to be released officially on October 9, 2018, but it is not excluded that the common date of issue becomes September 15, 2018. 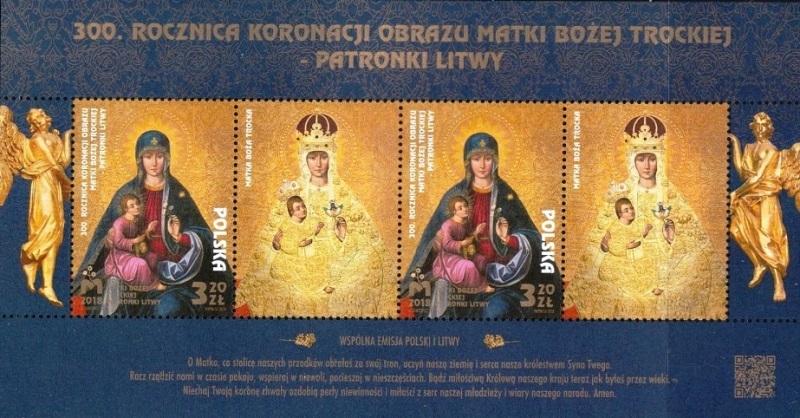 Stamps will be identical (information provide by Niket Bubna, USA). 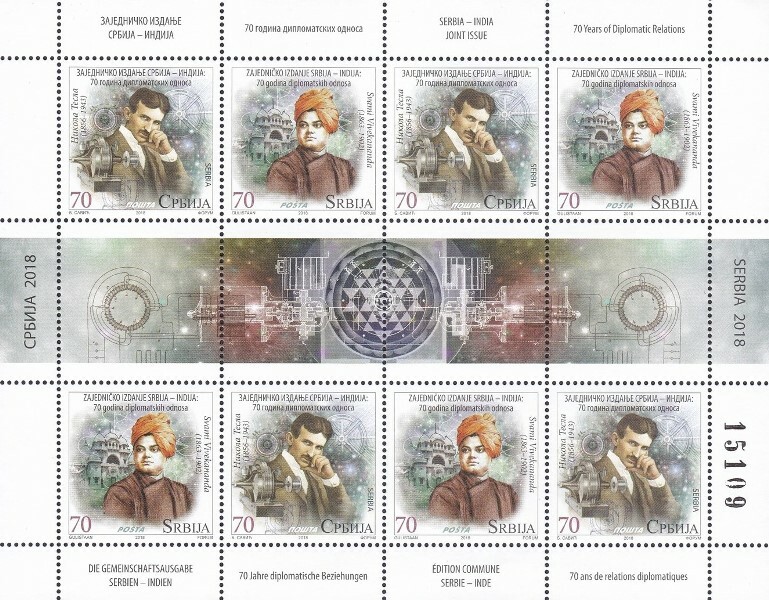 The designs of these stamps were published on the Belarus philatelic web site. 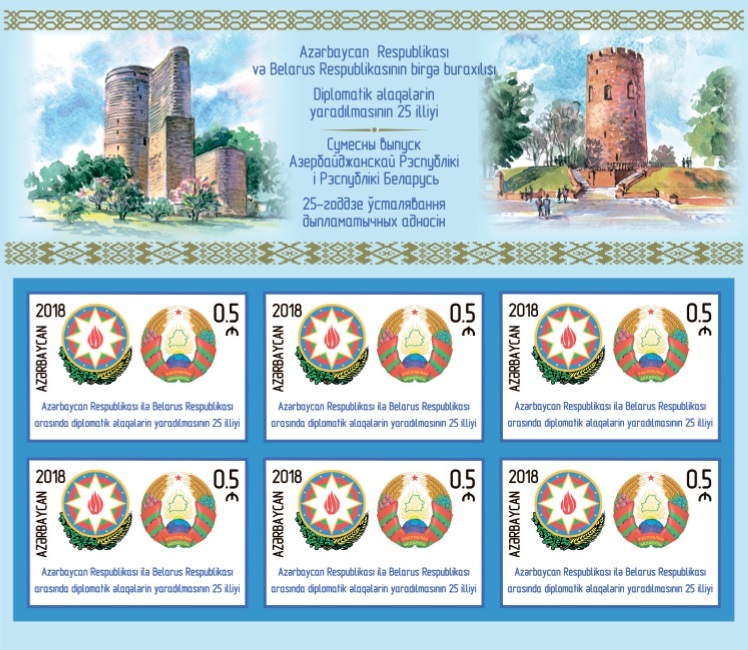 Also the design of the Armenia Belarus issue was published, but the confirmation of the existence of a real joint issue is still missing for this souvenir sheet. Date of issue will be September 21, 2018. United States Postal Service (USPS) has shared the release date for the joint issue with Israel. 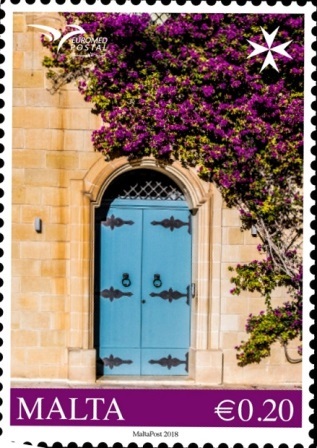 The stamp will be issued on October 16, 2018 in Newport, Rhode Island (information provided by Niket Bubna, USA). On July 23, 2018, both Syria and South Ossetia jointly issued the following stamps. South Ossetia of course is not recognized by the UPU, and therefore this issue cannot be listed as a true joint issue. It will be reported in the catalogue under the [N] category. Note that this country is recognized by Russia as an autonomous region of Georgia (information provided by Don Birschel, USA). September 3, 2018: we were informed by Lars Kersten that the above issue is in fact a fake issue, produced to fool collectors and never seen in both South Ossetia and Syria. In particular it can be recognized by the fact that the arabic country name of Syria contains writing mistakes. 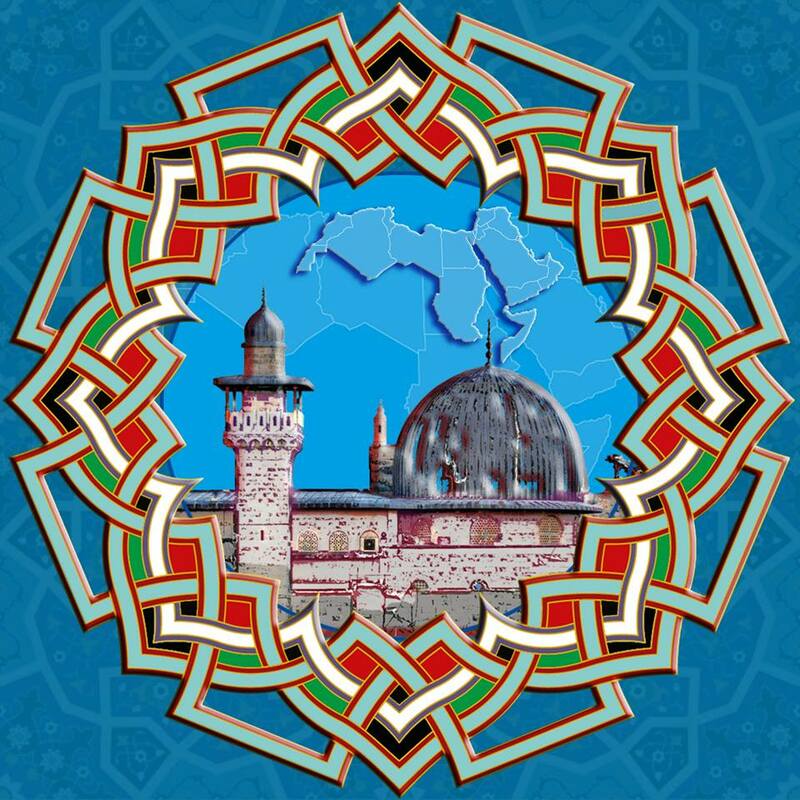 On August 10, 2018, Bosnia Herzegovina and Turkey released an unexpected joint issue showing the mosque in Milodraz (Bosnia). This mosque was built 555 years ago in 1463 (this information was provided by Don Birschel, USA and Jaap Sarelse, The Netherlands). 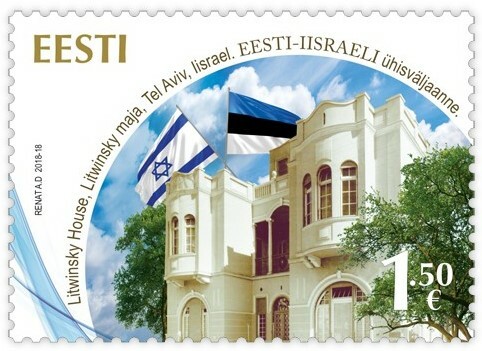 Gabriele Gatti (Italy) provided the first image of the Estonia - Israel joint issue to be released on August 28, 2018 and displaying the Litwinski House, in Tel Aviv, former location of the Estonia consulate as early as 1929 in this area. Niket Bubna (USA) provide the illustration of the joint stamp presentation packs from the [P20170808] ASEAN joint stamp series. 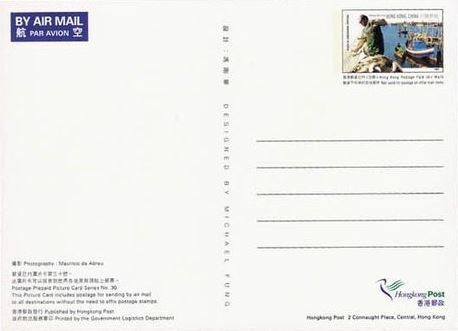 The pack from Singapore contains only 7 stamps, but the one from Vietnam has 9 stamps including the stamps from Myanmar and Laos which were issued later. Only the Singapore pack has been reported so far. 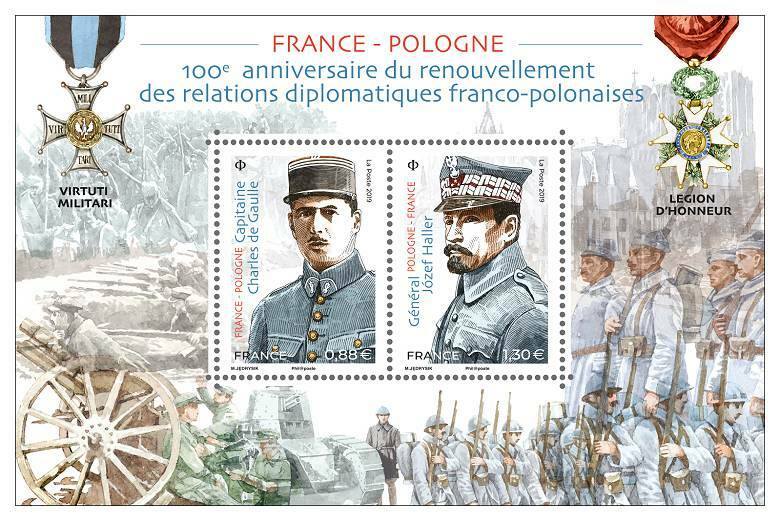 As there was a delay for two of the stamps of this series, this pack was released by end of 2017 or early 2018. Here is the illustration of the inside part of the Vietnam pack. Over the past weeks there were several requests for recognizing some older stamps as joint. 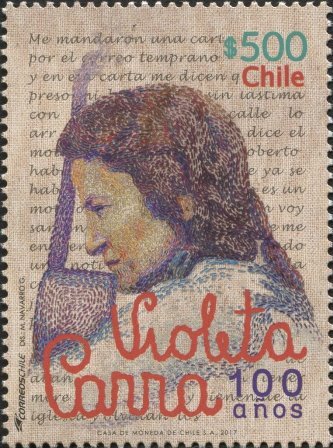 From Roland Montagne (France): during the year 2017, Brazil and Chile issued a stamp each to celebrate the 100th birthday of the Chilean artist and songwriter Violeta Parra (1917-1967). 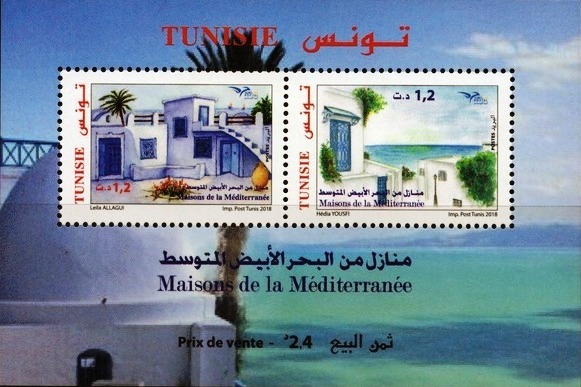 These stamps were issued also to celebrate the 150th anniversary of the relationship between both countries. 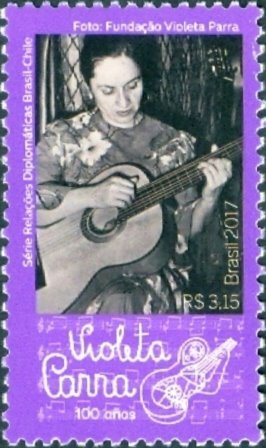 These stamps have a different design and were issued at different dates respectively November 21, 2018 (Brazil) and December 28, 2018 (Chile). 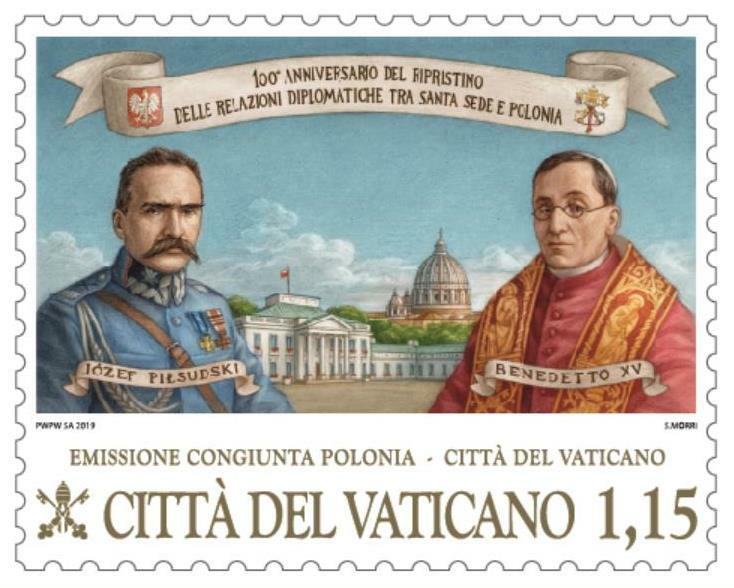 Additionally, and despite the fact that they celebrate the same anniversaries, none of the two postal adminsitrations claim it is a joint issue. 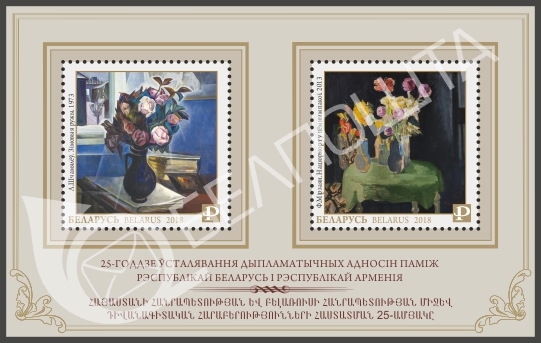 Therefore these two stamps will not be reported in the catalogue. 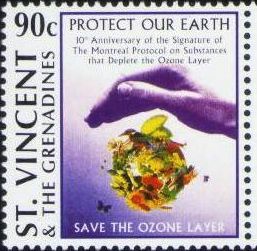 Don Birschel (USA) found a large series of stamps related to the "Day of the Ozone Layer" (Montreal Protocol). They all have in common a symbolic world made of nature pieces and protected by a hand. 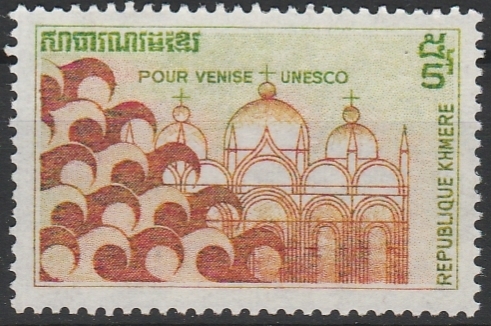 Actually these stamps are reported in the 2006 Catalogue at pages 226-227 under the heading [T19970916]. It is even a twin issue involving as much as 13 countries. 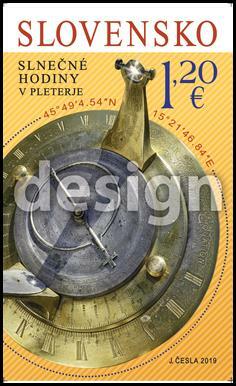 Don added an unknown stationery item issued by the Czech Republic on September 10, 1997, illustrated below. Much more interesting is that Don found these stamps in a web site dedicated to meteorology and weather forecast technology stamps: www.rammb.cira.colostate.edu/dev/hillger/ozone.htm. 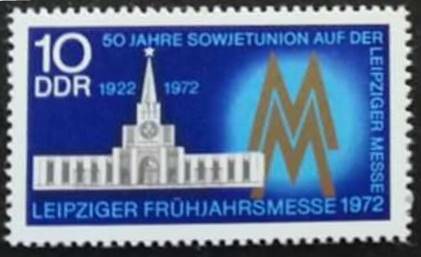 Jaap Sarelse (The Netherlands) discovered stamps related to the 50th year of participation of the Soviet Union to the Leipzig Fair. 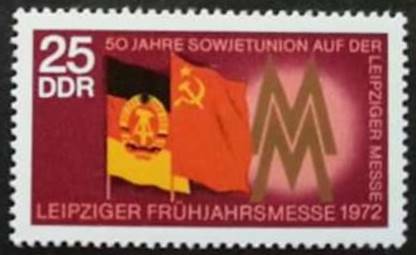 The German Democratic Republic issued on March 7, 1972 two stamps related to this event with the inscription "50 Jahre Soviet Union auf der Leipziger Messe - Leipziger Frühjahrsmesse 1972". 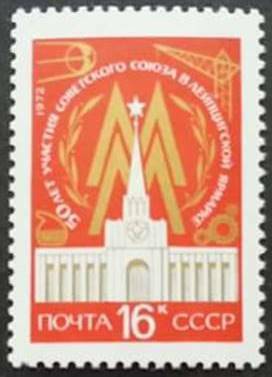 Soviet Union issued on February 22, 1972 a single stamp showing similar illustrations (symbol of the fair, Soviet Union pavillion). This issue is at the limit of being a true joint issue, but it was decided to integrate it in the catalogue under the heading [C19720222]. 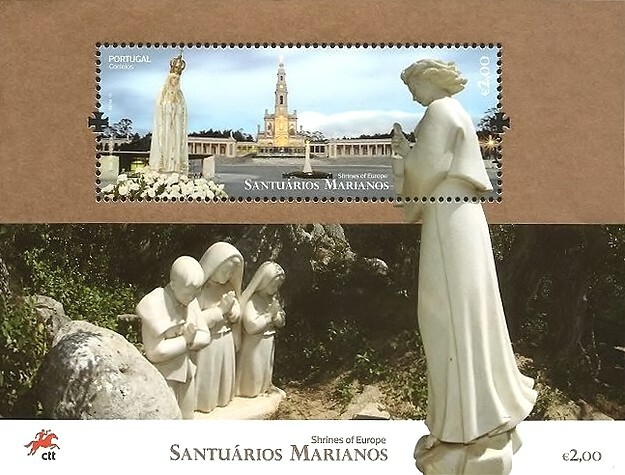 Luis Fé Santos (Portugal) reported some identical stamps released by Germany (West) and Berlin (West). The only difference is the additional word "Berlin" appearing on these stamps. In fact over the period 1949 to 1990, Berlin West issued its own stamps (more than 900) as a total independent postal entity and sometimes Germany (West) and Berlin agreed to use the same topic but only similar designs, usually complementing each other. The dates of issue were always the same. 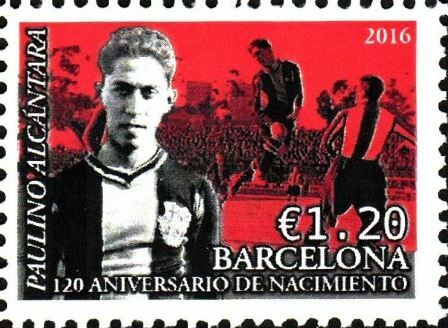 In some very rare cases, the design and the date were identical like in the case of stamps that Luis mentioned. These stamps have never been considered as joint, as Berlin West postal authority was actually a subsidiary of West Germany postal authority. 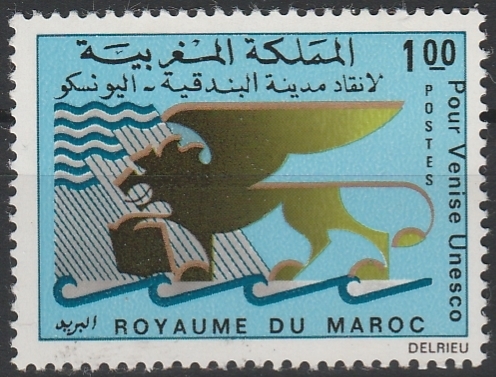 The list of stamps with the same design and the same date is provided below. 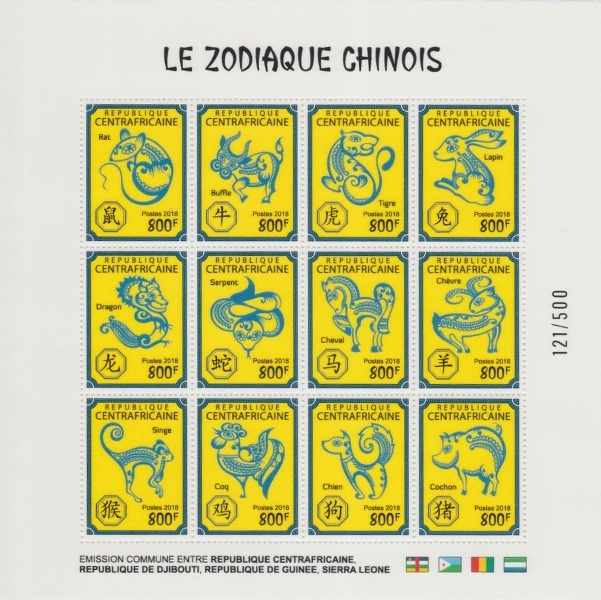 This list was published in the first Joint Stamp Issue Catalogue released in 1998 on pages 92-93 (in French only, not available anymore), but as these stamps were not joint, the list was not reproduced in the 2006 catalogue. Richard Li (China PR) provided the copy of a mail from the Chinese postal administration which clearly states that the planned China - Spain joint issue will not take place at least not in the near future. We will remove this issue from our list. Niket Bubna (USA) and Wayne Chen (USA) provided some additional information about the next Israel - USA joint issue: the date is not fixed yet It will be the second US-Israel joint issue on Hanukkah since 1996. A menorah will be featured on a the stamps that reproduces Jewish folk art paper cutting techniques. From Grzegorz Omelanczuk (Poland) and Don Birschel (USA) provided details about the most recent Poland and Lithuania joint issue, a series not reported so far. 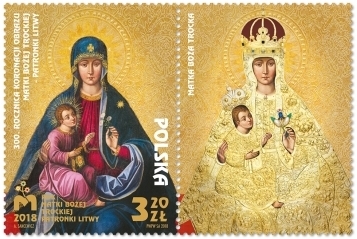 Stamps were issued on July 27, 2018 and are celebrating the 300th Anniversary of the Coronation of Our Lady of Trakai - Lithuanian Patroness. 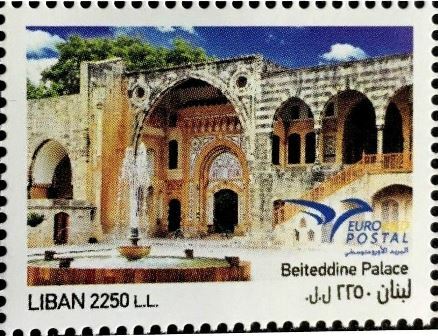 Mansoor Moazzeni (Iran) reported a stamp linked to the 2000, May 9 Europa issue and released under the country name Crna Gora. Actually Crna Gora is the local name of Montenegro, but in the year 2000, Montenegro did not exist as an independent state. This happened only six years later, in 2006. 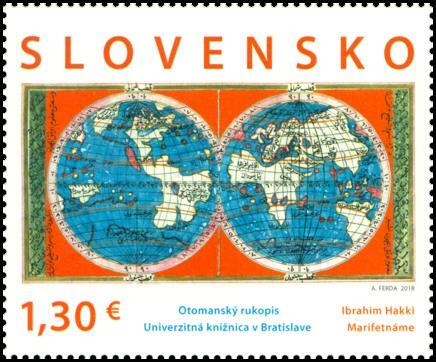 Therefore these stamps have to be reported in the catalogue under the heading [T20000509] but as non-UPU-recognized stamps, in the same way stamps from Transnistria are also listed in this chapter. 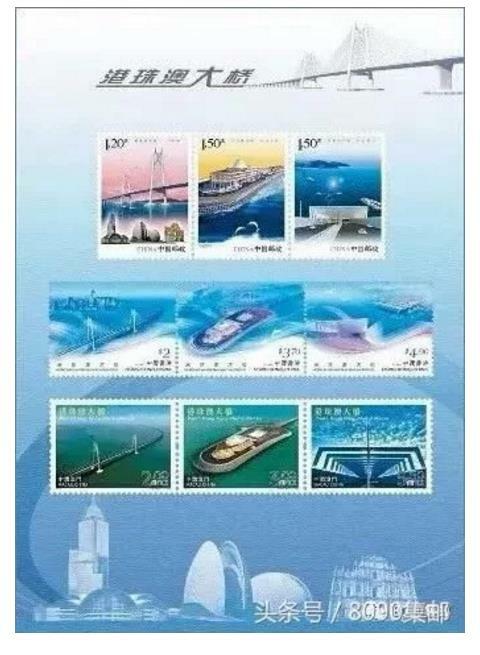 A booklet containing 5 stamps was available. We are now looking for a more precise date of issue. 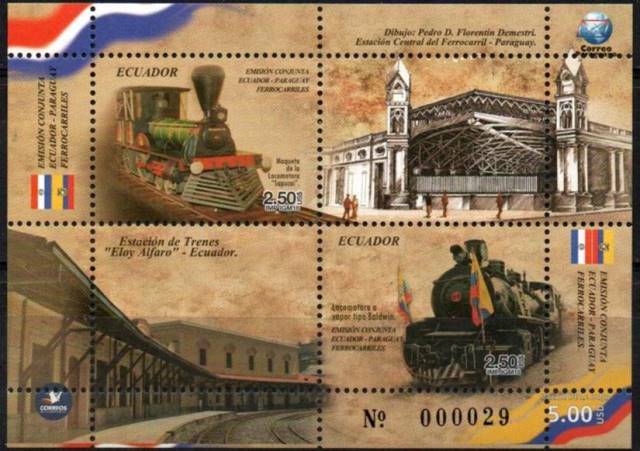 On April 27, 2018, Ecuadorissued a souvenir sheet with two stamps showing trains and train stations. This was supposed to become a joint issue with Paraguay. The first day cover and the stamps were very recently discovered by Jaap Sarelse (The Netherlands) and clearly claim on the stamps the joint character. 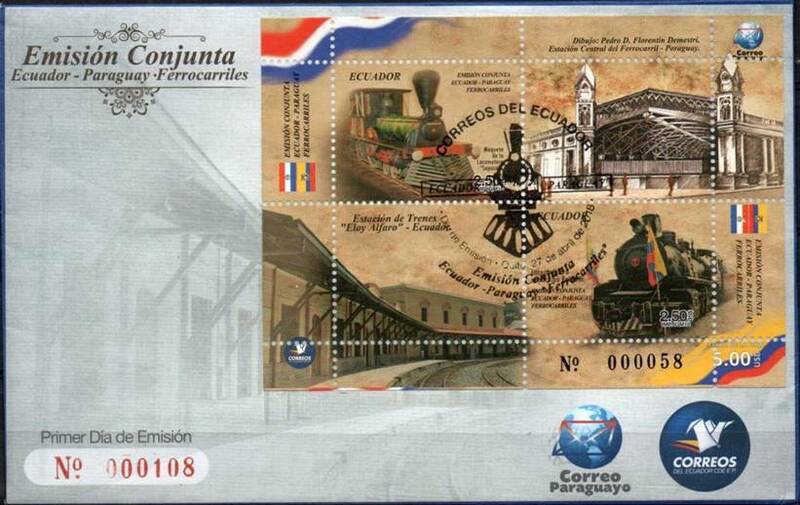 It appears that the Paraguay stamps were released only on June 13, 2018. This issue will therefore be considered as Concerted. Colombia and Mexico issued each two stamps in relation with the official Colombia-Mexico year 2017-2018. 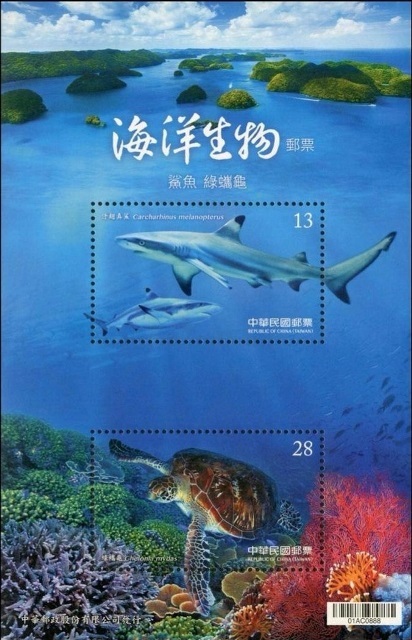 This issue is a little borderline, but we finally decided to accept it as joint because these stamps were generated in a concerted action between the two countries' postal administrations. The dates of issue are not the same (May 9, 2018 for Colombia, June 15, 2018 for Mexico) and the designs are different. However the topic for each stamp is the same. 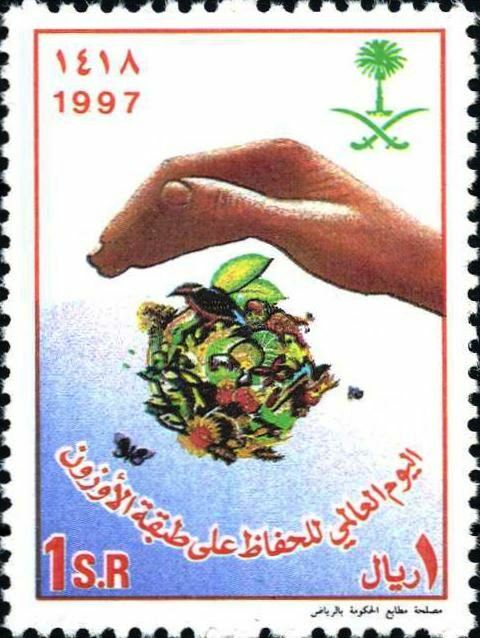 Both countries decided to dedicate the stamps to their local butterfly. 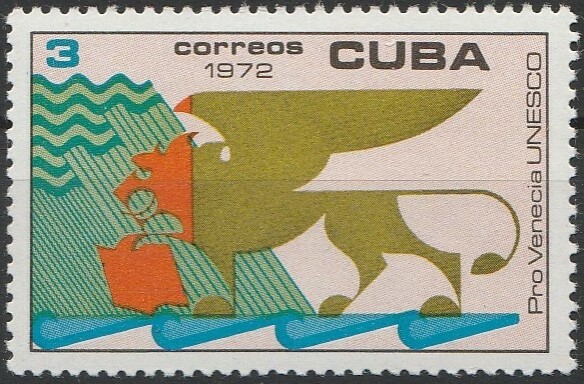 In the original catalogue we had already created a special category for this type of issue and it was called [C3], concerted issue with similar (not identical) stamps. 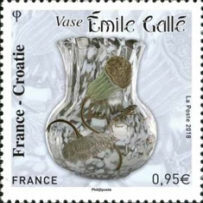 Jaap Sarelse (The Netherlands) discovered first these stamps. 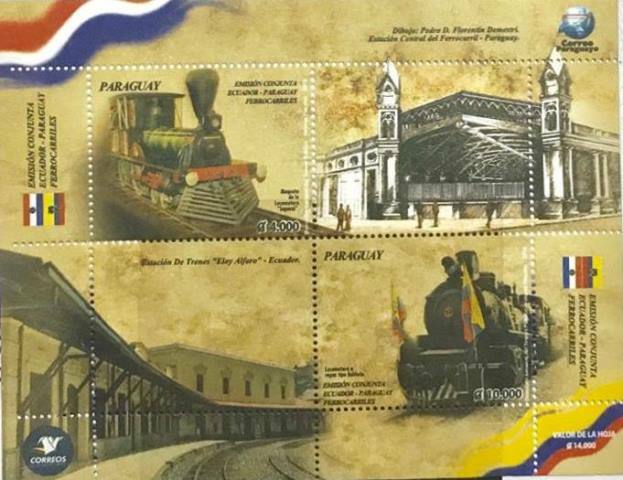 The Colombia stamps are available in miniature sheets with two pairs. 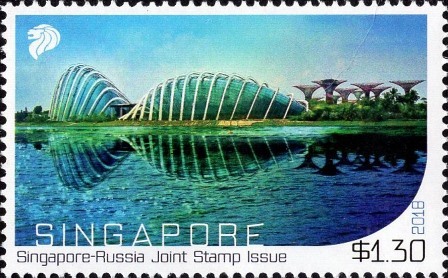 The Russia Singapore stamps celebrating the 50th anniversary of the collaboration between both countries became finally a Concerted issue. 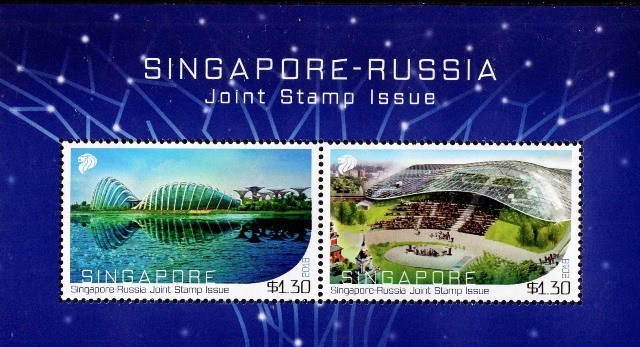 The Singapore stamps were issues on June 1, 2018, while the Russian stamps became available only on June 25, 2018. Russia produced a pair of se-tenant stamps available in miniature sheets of 4 pairs [1px4] chessboard ordered. Singapore issued two stamps in individual miniature sheets of 10 stamps 2x[2x5] and a souvenir sheet with a pair of se-tenant stamps. Wee Kiat Tan (Singapore) and Xu Tai (PR China) provided the relevant information and access to pictures. The stamps related to the Festival of Fire (Summer solstice) and issued by French Andorra and Spanish Andorra (different designs) respectively on June 9, 2018 and June 22, 2018 are not to be considered as a joint issue. This was definitely confirmed by both postal administrations upon a specific written request from Jaap Sarelse. Peter Ruznak (Germany) and Wayne Chen (USA) found a joint issue released on June 26, 2018 and involving Palau and Taiwan. 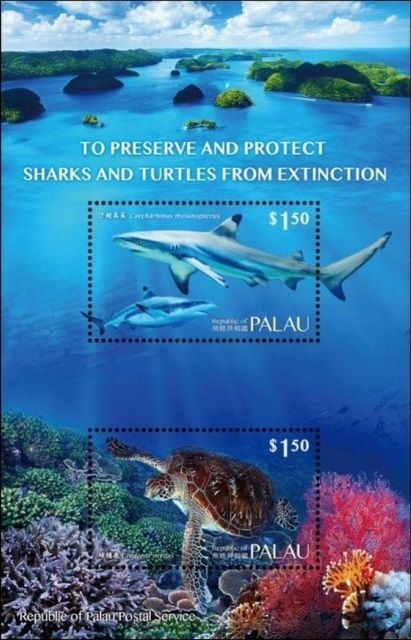 This issue is related to the protection of sharks and turtles. It has been a long time since Taiwan was involved in a true joint issue. 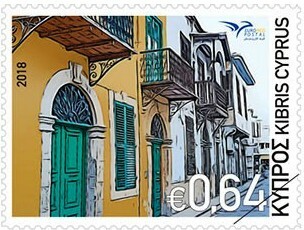 In this case it seems even that mixed first day covers with stamps (not souvenir sheets) became available. Don Birschel could provide almost all pictures related to the Euromed issue released on July 9, 2018. 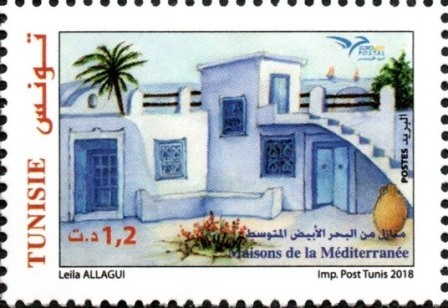 This year the topic is related to Mediterranean houses. 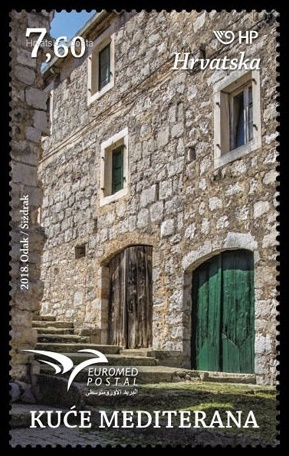 So far the following countries have already issued their stamp(s): Croatia (July 10) (1 stamp) - Cyprus (1 stamp) - France (July 6) (1 stamp) - Greece (July 20) (4 stamps in individual panes, souvenir sheets with one stamp, and booklet with all fours stamps se-tenant) - Jordan (souvenir sheet with 4 stamps) - Lebanon (1 stamp) - Malta (2 stamps) - Morocco (4 stamps) - Portugal (2 stamps) - Slovenia (1 stamp) - Spain (1 stamp) - Tunisia (2 stamps and a souvenir sheet with 2 stamps) - Turkey (2 stamps). Spain and Turkey are newcomers this year. 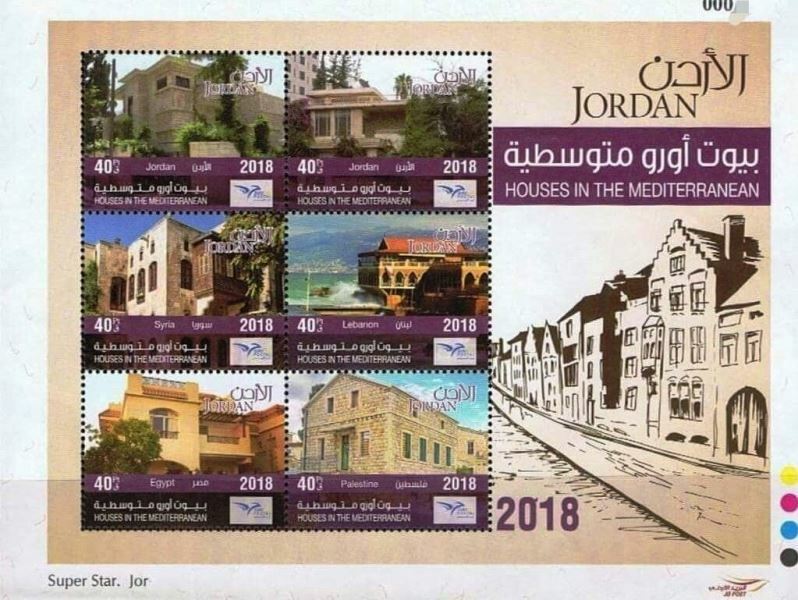 Up to 16 countries could now be involved in Euromed stamp production and therefore the following countries are still missing and could issue a stamp in the short future: Egypt, Libya and Palestine. The first information about the Germany - South Africa joint issue was provided by Rindert Paalman (The Netherlands). 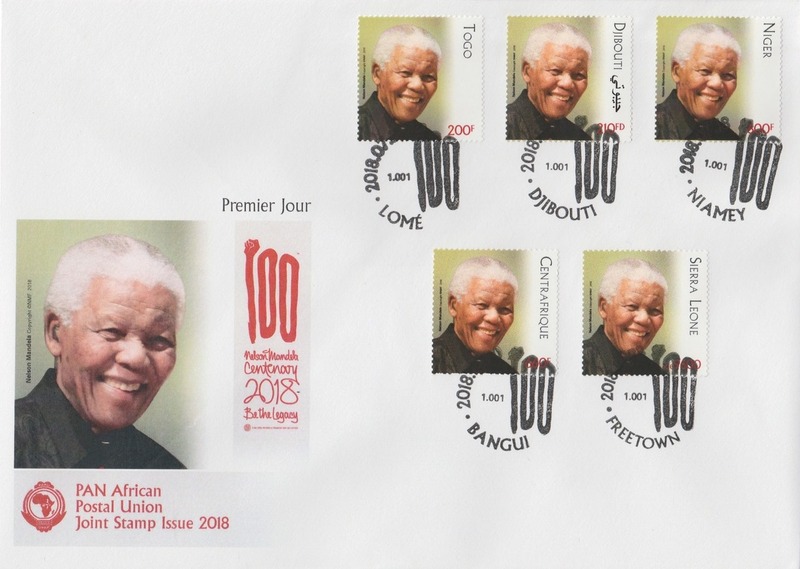 These non-identical stamps issued on July 12, 2018 are celebrating the 100th birthday of Nelson Mandela. 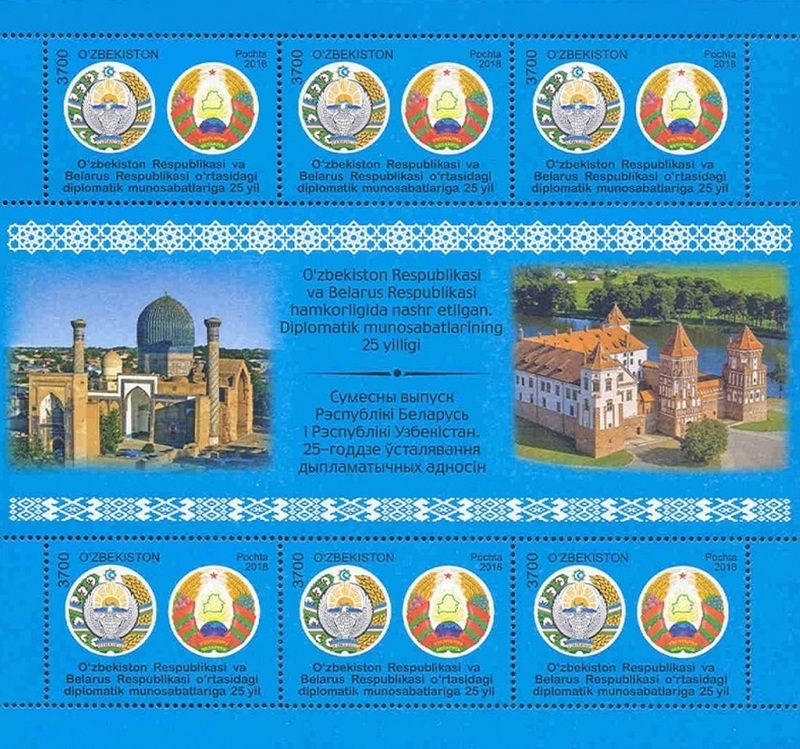 Germany issued its stamp in miniature sheets of 10 stamps. 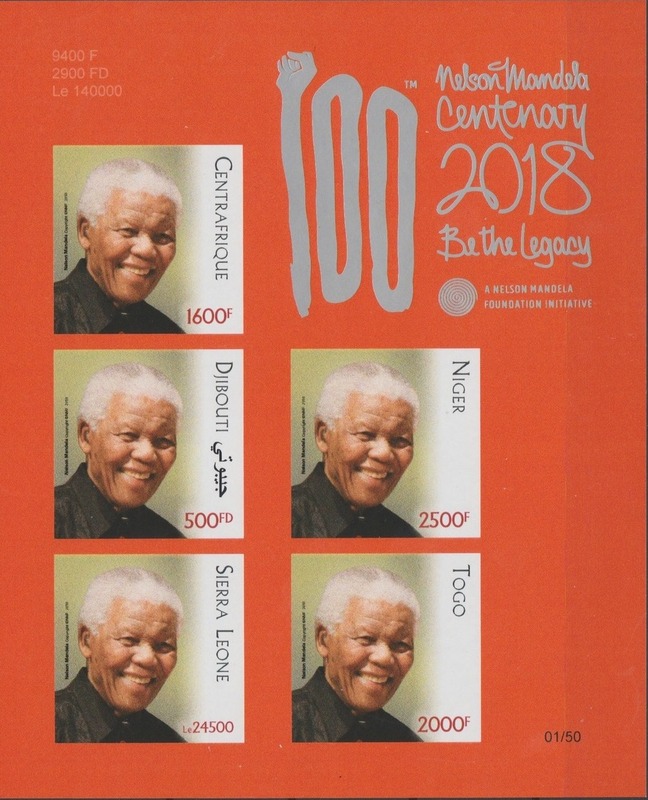 South Africa issued a souvenir sheet. It remains quite difficult to collect information from South Africa and any additional information about this country and stamps released in this frame or the following issues described below are highly welcome. 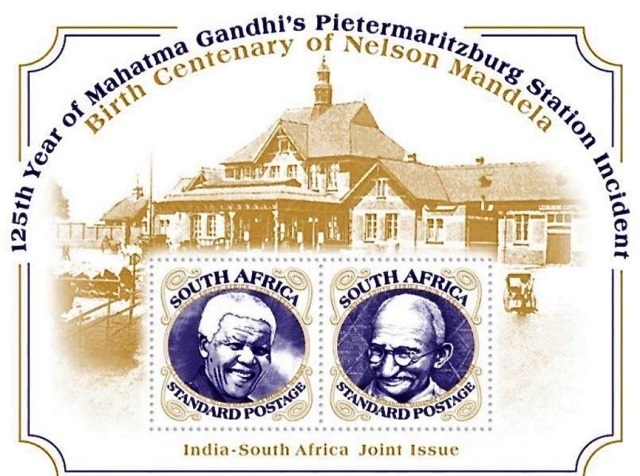 India and South Africa also issued joint stamps at this occasion. Date of issue should apparently be July 26, 2018, even if the stamps are already proposed for sale on Delcampe. This date corresponds to the time the next BRICS Summit takes place in Johannesburg and the Indian Prime Minister visits South Africa. Jaap Sarelse (The Netherlands), Kenneth Sequeira (Dubai) and Don Birschel (USA) were first to find these illustrations. 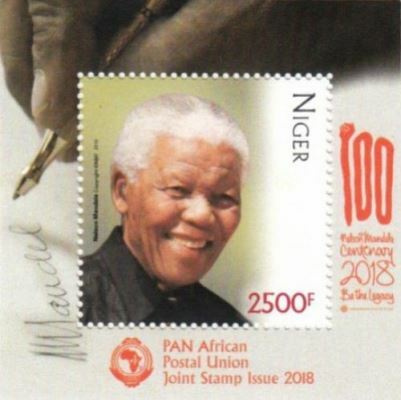 The 100th birthday anniversary of Nelson Mandela was celebrated all over the world, but another common joint issue took place through the Pan-African Postal Union (PAPU) countries. 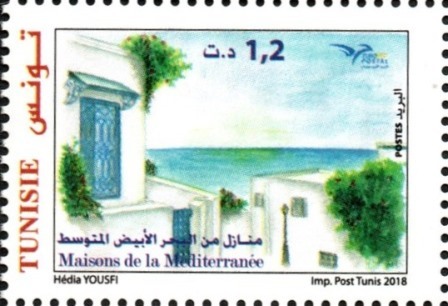 So far we have identified the following countries having issued a similar stamp at this occasion (it seems that the first stamps have been issued on July 18, 2018; some of them may have been released at different dates): Algeria, Burkina Faso, Gambia, Liberia, Niger, Togo, Tunisia. Wayne Chen (USA), Don Birschel (USA) and Jaap Sarelse (The Netherlands) were the first to react. 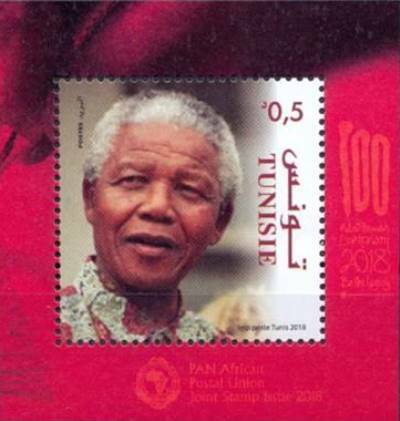 Tunisia has issued a stamp with a different portrait of Nelson Mandela. 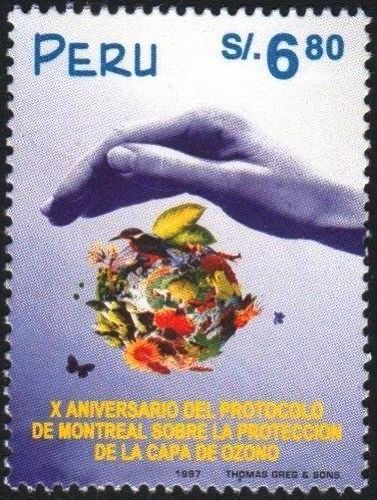 The PAPU consists presently of 45 members countries, so there are probably more stamps to come. For those who want to watch specific countries, here is the list of additional countries which are entitled as PAPU members to participate to this issue: Angola - Benin - Botswana - Burundi - Cameroon - Central Africa Republic - Chad - Comoros - Congo Republic - Congo (Democratic Republic) - Egypt - Equatorial Guinea - Eritrea - Ethiopia - Gabon - Ghana - Guinea - Ivory Coast - Kenya - Lesotho - Libya - Madagascar - Malawi - Mali - Morocco - Mozambique - Namibia - Nigeria - Senegal - Sierra Leone - Somalia - South Africa - Sudan - Swaziland - Tanzania - Uganda - Zambia - Zimbabwe. Additional information about issues to be released soon came also in. The complete information about future issues is as usual collected in the page upcoming issues. 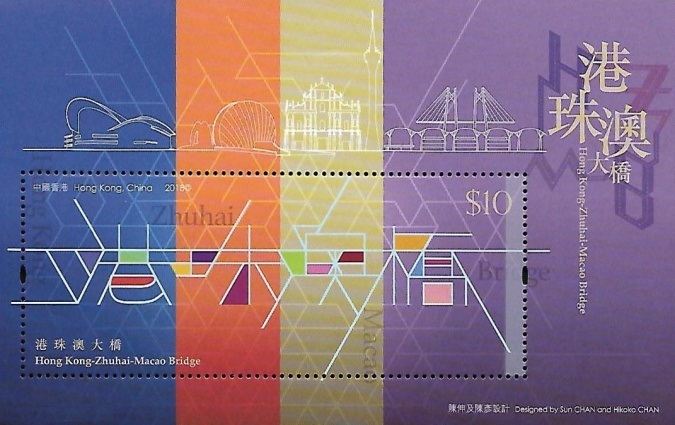 There is still a question about the China Territorial Siamese sheet related to the Hong Kong - Zhuhai - Macao bridge opening. 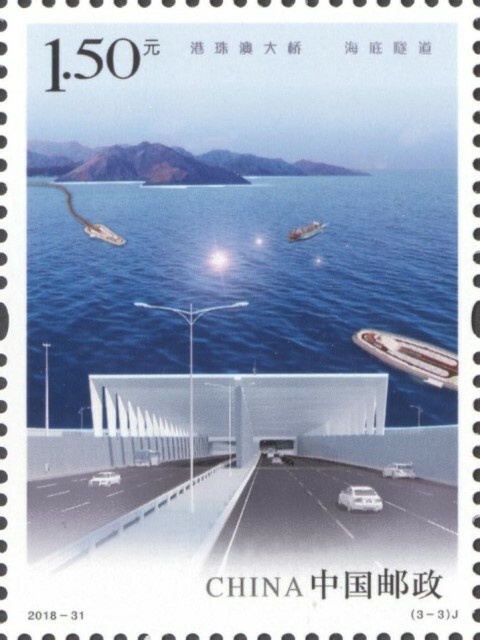 In fact these stamps will be released at the date of the official inauguration but the building of the bridge is delayed. Wayne Chen (USA) found the first illustration of the siamese sheet that is supposed to be released when opening. 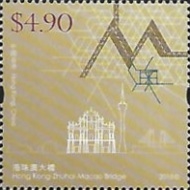 This item bears stamps from China PR, Hong Kong and Macao. The opening is now announced for August 2018. There was some concern about the structure of the building: the concrete blocks protecting an artificial island connecting the Hong Kong side of the bridge to the tunnel under Mainland China's waters have been damaged by waves. Expert claim this is not an issue, but some construction checks were needed. 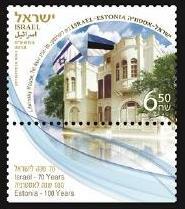 The design of the Israel stamp to be released jointly with Estonia on August 27, 2018 was made available. 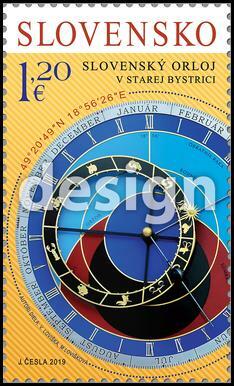 Estonia maintained the date of issue of August 25, 2018 so far. 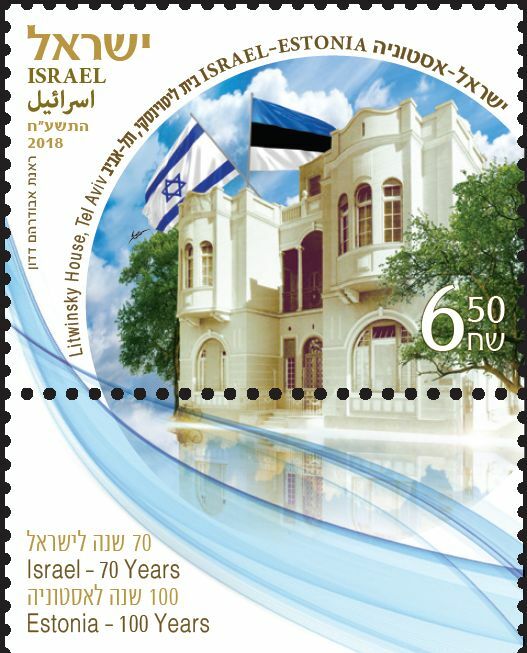 Also Israel still plans to issue a joint stamp with the United States of America, but the date of issue remains unchanged and unprecise as Quarter IV, 2018. 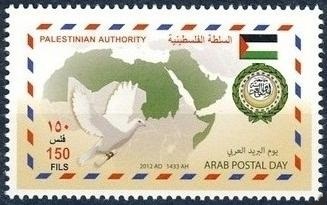 Our friend Ali Ahmed Med Achour (Algeria) published recently (June 7, 2018) a paper in the Algerian newspaper El Watan that was also reproduced in the 'Le Monde Philatélique' news about a joint issue under preparation involving the Arab countries and officially entitled "Jerusalem is the capital of Palestine". The proposal was made by Palestine and based upon a design that was submitted recently to all countries interested in participating. 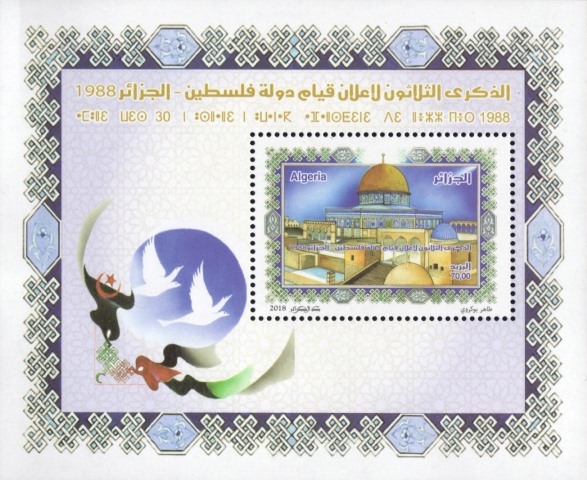 The stamps are supposed to be issued on December 8, 2018, the anniversary date of the recognition of Jerusalem being the capital of Israel by the US president Donald Trump. Unfortunately it appears that on this original design the map of the Arab world is not satisfying for several countries including Mauritania (which is missing), Morocco (issue with Western Sahara) and Sudan (new borders since 2012). The solution is quite simple as it would just be sufficient to take the map that appeared on the 2012 Arab joint issue and that was approved at that time by all participants. Alos there is sufficient time remaining to make all corrections. 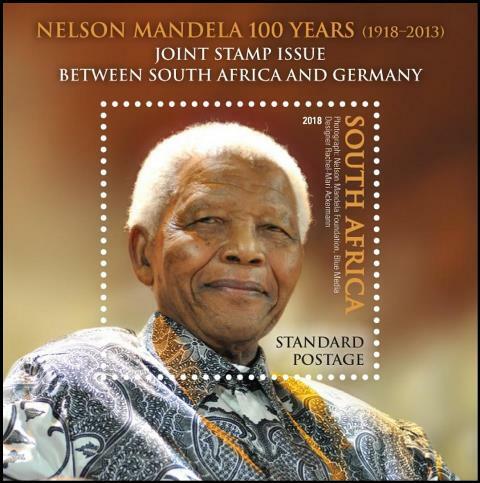 This does not tell if the stamps will be issued, but in any case this issue will have a major political meaning. 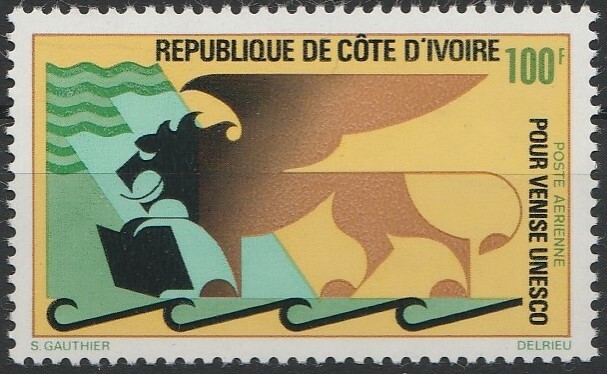 The answer will be as usual for this type of stamps, but as this question may arise again, it is important to remind for each new request: Aitutaki and Cook Islands and even more Aitutaki and Rarotonga are postally tightly connected (Rarotonga stamps are often overprinted Cook Island stamps) and stamps from all these postal entities are printed at the same place. In the worst case and if acceptable, these stamps should be reported as Territorial/ Depencies [D] issues. However the second major criteria for defining a joint issue is the fact that a joint issue is celebrating a common event and the joint character is reinforced by statements from these postal administrations. Then we try to confirm by finding next to the common character a common design (which here it is the case) and a common date of issue. If there is no obvious and official joint character we still keep in the catalogue the issues that can induce misinterpretations but under the chapter non-approved [N]. Unfortunately and for the reasons listed above, none of these issues can be considered as joint. 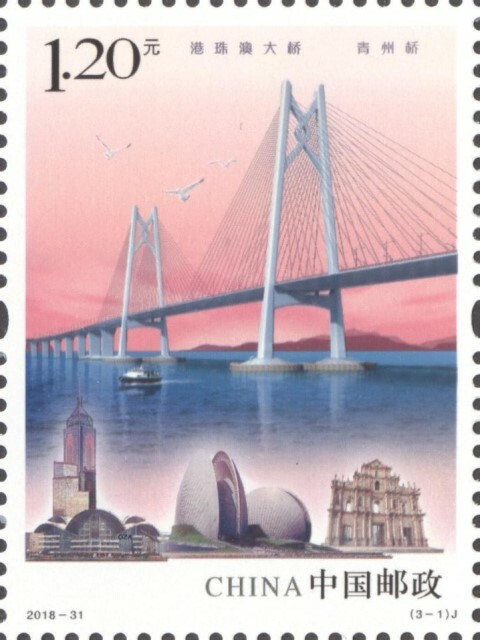 Luis mentionned also a series of stamps and souvenir sheets issued at the diverse occasions of the travels of the US President Donald Trump (China, Davos, Israel, Vatican). These stamps were produced during the first half of the year 2018 by the group IGCP for countries including Antigua and Barbuda, The Gambia, Grenada, Liberia, Marshall Islands, Nevis, Palau or Tuvalu. 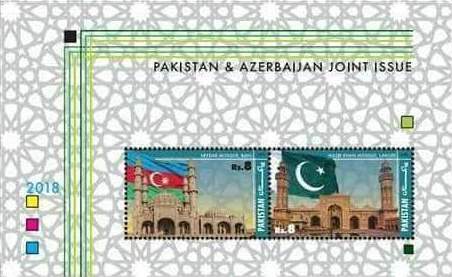 For the same reason (absence of coordination between the countries, no joint character, different dates of issue, different designs) these stamps cannot be considered as joint. In the same way, Mansoor Moazzeni (Iran) discovered a series of souvenir sheets commemorating the 90th anniversary of Marylin Monroe. This is a different case as all items are identical. However this series must be considered as an omnibus series produced centrally. It involves so far Central Africa (2016), Mozambique (2016), Niger (October 24, 2016), Solomon Islands (December 1, 2016) and Togo (December 15, 2016) . This series will be reported for the time being under the heading [O20161024]. 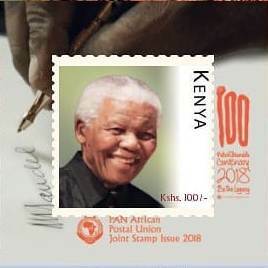 For the same reason as described above (no joint character stated by the respective postal administrations, no common design, no common date) forbid these stamps to be considered as joint. They will not be reported in the catalogue. 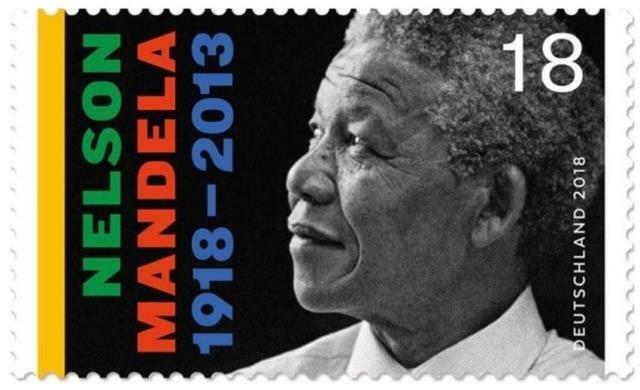 Additionally these stamps have been created by the same printing house and are intended for collectors only. 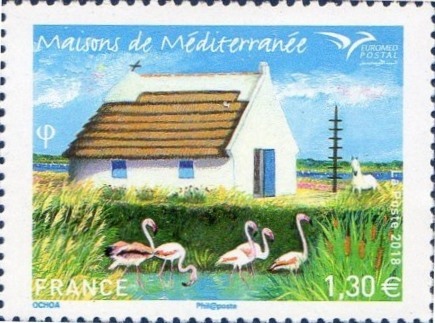 Larry Dodson (USA) referred back to a series of stamps issued in Europe and entitled "Shrines of Europe" (English word appearing on all stamps). 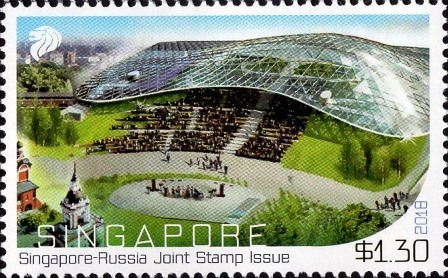 This series was not considered as joint despite a common title among all participating countries, because dates of issue and designs were individual. 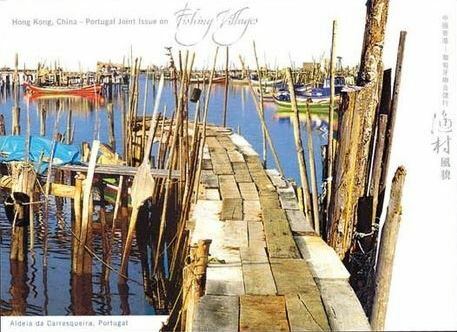 However The Portuguese postal administration released a special folder containing all these stamps. 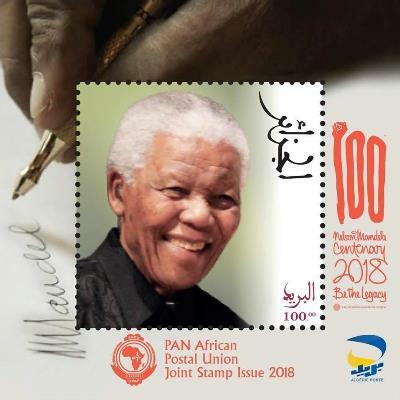 We will have to consider these stamps as a joint issue, even if we have not seen mixed covers so far, for the reason that a common wording in a common language was accepted by all postal administrations. The series will be reported as [P20160502]. 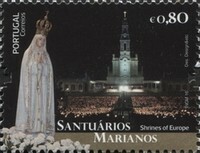 In fact 6 sites are presently part of this network "Shrines of Europe" (pilgrimage sites - see http://www.shrines-of-europe.com/ and in our series the sites of Lourdes (France), Loreto (Italy) and Czestochowa (Poland) are missing for completeness. Let us hope that the next time this group releases stamps all countries will participate with an issue at a common date. 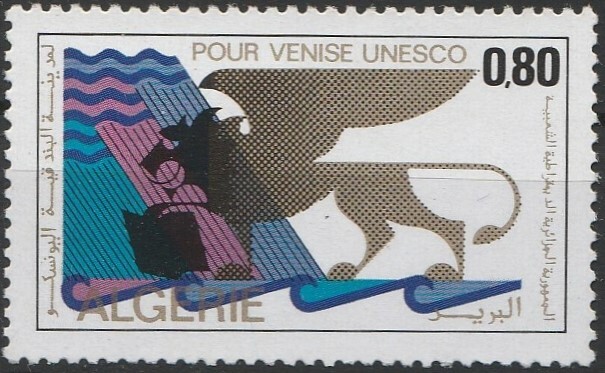 Anthony Raynaud (France) discovered the following UNESCO series that we defintely will have to report as a new joint issue characterized by a similar design. 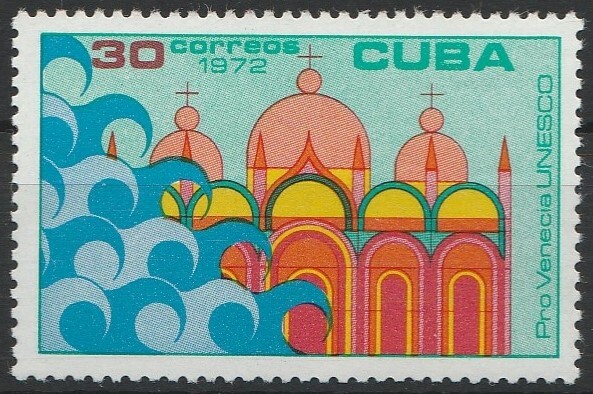 There is no common date but most of the countries have issued their stamps during the month of February 1972 and two countries have issued their stamps on February 5, 1972. Therefore this becomes also the name of the issue [C19720205]. The issue includes Algeria (January 24) - Bulgaria (May 6) - Cambodia (February 7) - Cuba (December 8) - Ivory Coast (February 5) - Morocco (February 25) - New Caledonia (February 5) - Togo (February 26). 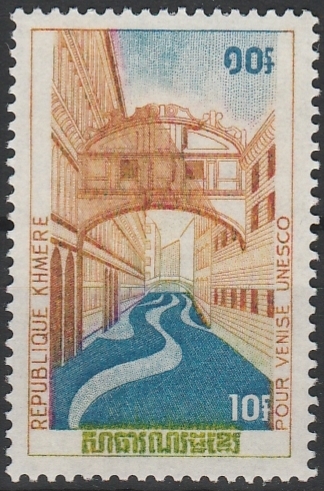 The issue is devoted to the UNESCO campaign “Save Venice” and considered as a Concerted issue [C1] because the different designs bear a similar style. 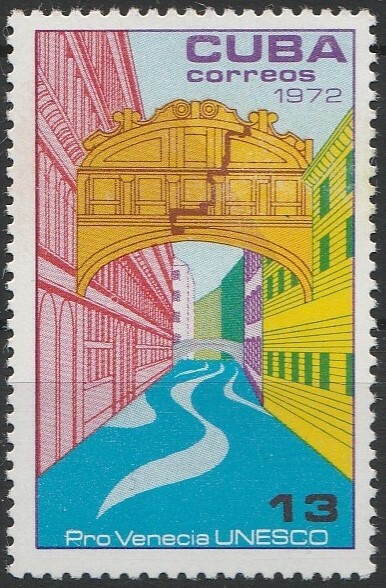 Stamps are illustrated with either A, the Bridge of Sighs; B, The Winged Lion of Saint Marc; C, Saint Marc Basilica; D, the Casa d’Oro; E, the Rialto Bridge. Multicolored. 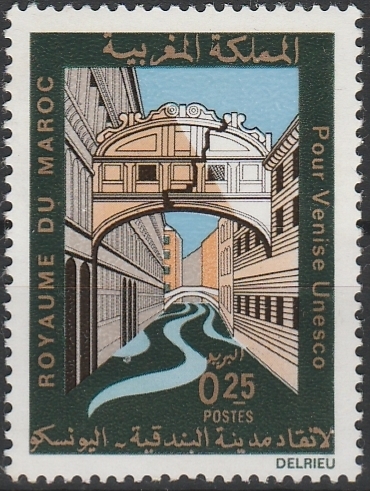 Other countries have issued stamps to support this action with completely different designs, but all in relation with Venice in form of either pictures, symbols, landscapes or paintings: Burundi (1971, December 27), 8 stamps and 2 souvenir sheets; Iran (1973, May 5), 2 stamps; Italy (1973, March 5), 1 stamp and (1973, April 10), 4 stamps; Monaco (April 27), 3 stamps; Mongolia (October 1), 7 stamps; Pakistan (February 2), 1 stamp; Romania (October 20), 6 timbres and 1 souvenir sheet; Tunisia (February 2), 4 stamps; Vatican (June 6), 6 stamps. 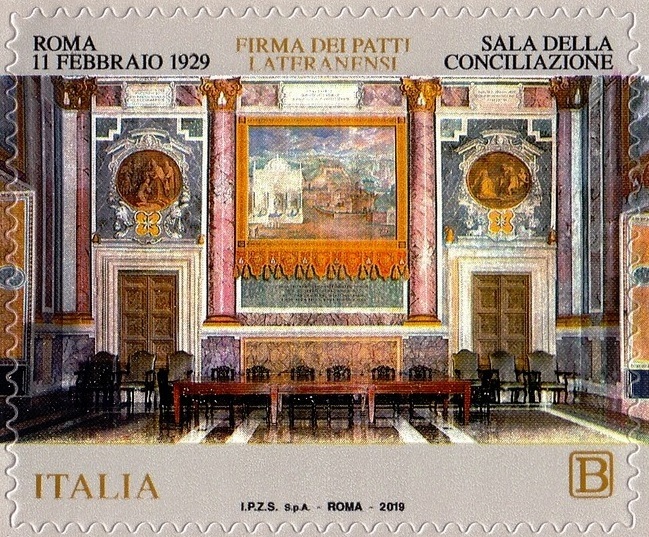 These stamps are not part of the joint issue but worth to be mentionned for completeness. The News from the period April to June 2018 have been archived.